Honors help define, encourage and reinforce national aspirations, ideals and standards by identifying role models. Australia gives honours to recognise, celebrate and say thank you to those who make a difference, those who achieve their best and those who serve others. 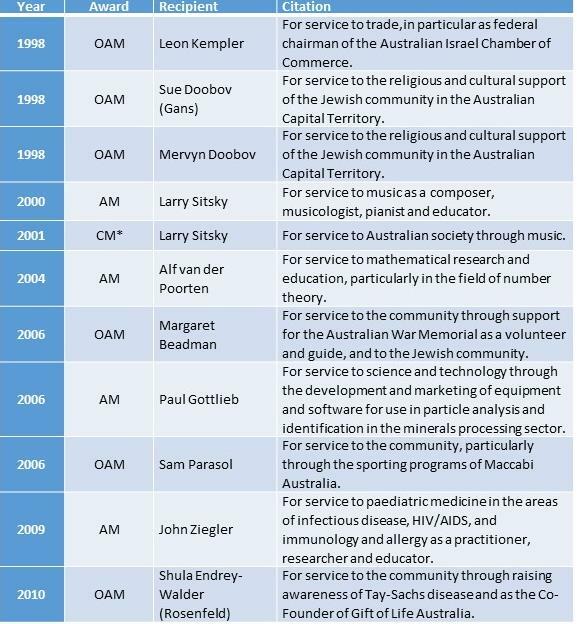 You can search for honourees using the Australian Government website: https://www.itsanhonour.gov.au/honours/honour_roll/search.cfm?show=advanced. HENRYK Kranz's father taught him to draw by candlelight in a hiding place he had helped a farmer dig into the hillside during the Nazi occupation of Poland in World War II. His father, Zygmunt, would make aeroplanes, houses and other toys from wood, metal and matchboxes to amuse him in the dark, cramped space where they hid until liberated by the Red Army in August 1944. "He was quite gifted with his hands," the retired neurologist, 72, says of his father, who years later sculpted a series of bronze busts that reminded him of some of the people he once knew in his Polish home town of Boryslav, now in western Ukraine. Almost a decade after Zygmunt Kranz's death, seven of these busts have pride of place in a redeveloped new museum that opens officially this month at the Jewish Holocaust Centre in Elsternwick. Henryk Kranz does not believe his father set out to recreate faces of specific people but "archetypal individuals from his memory of that period". Also on display are two artworks from an unpublished children's book by Henryk's daughter, Andrea, celebrating the heroism of farmer Jozef Baran and his wife Eleonora, who risked their lives to save her father and his parents. Like her father, Andrea Kranz is a medical practitioner. She works in palliative care with cancer patients. She has been reading the story about the heroic Barans to her 4½-year-old daughter, Iliya. Her grandfather would often retell it. 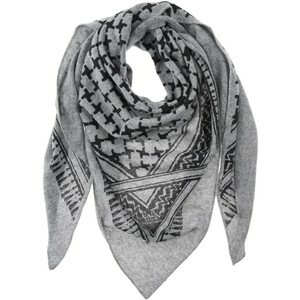 "It was woven throughout my childhood," she says. The new multimedia museum updates the Selwyn Street facility built 25 years ago. Audio-visual displays, photographs, artwork and memorabilia present the stories of its increasingly frail survivor guides to students and other visitors. "This is a big concern many survivors express, this fear that in the future no one will be left to talk about their murdered families," curator Jayne Josem says, noting that technology will ensure their stories continue to be heard. 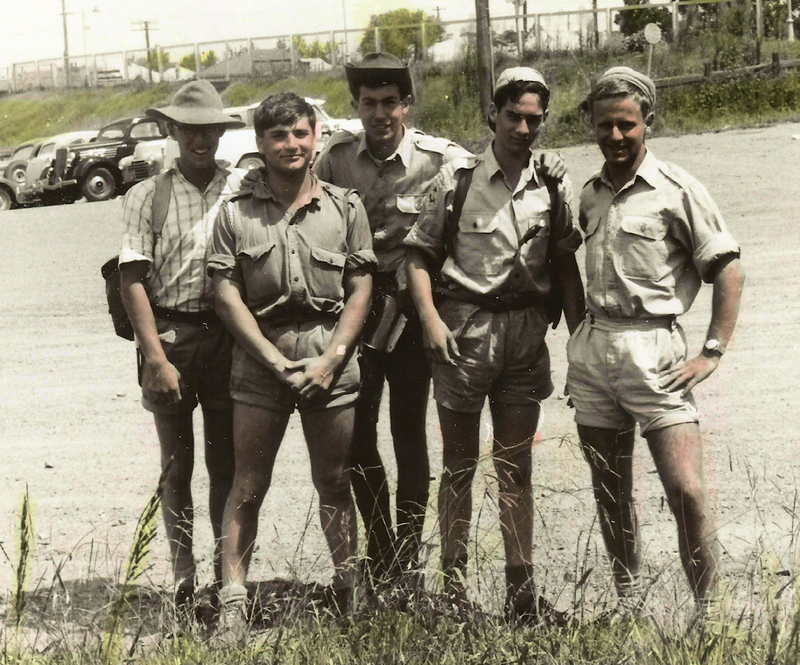 Zygmunt Kranz was a mining engineer in the petroleum industry at the start of the war. 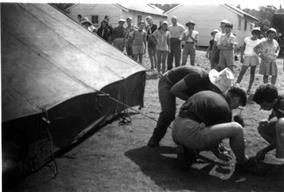 He was sent to a labour camp near Boryslaw, as it is known in Poland, and put to work digging out old pipelines. The farmer had befriended him after offering his team shelter for a day on which the Germans were rounding up Jews. He took a liking to Zygmunt and offered to hide his family. The two men dug about a metre high and wide and 1.3 metres long behind the rear wall of the farm shed. They installed a pipe so they could breathe and, later, planks to keep back the crumbling earth. 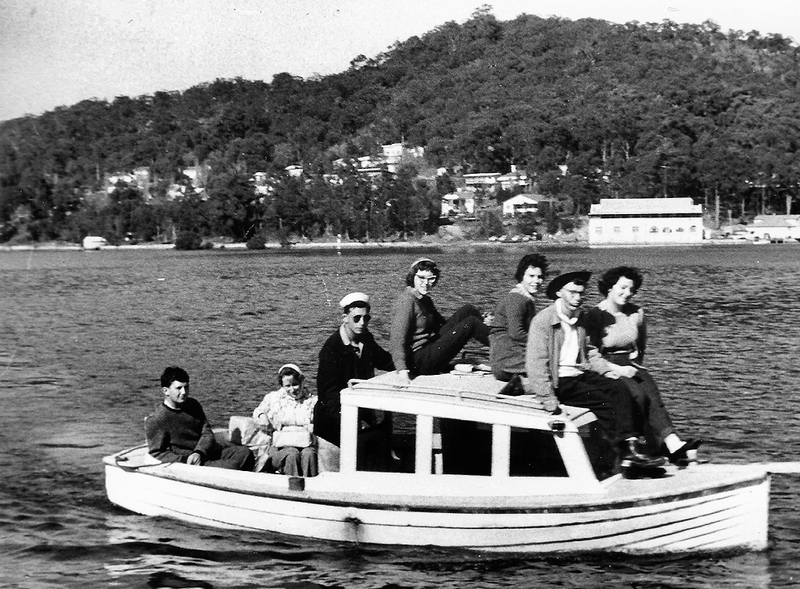 Zygmunt Kranz, who took his family across the Czech border to Norway and Germany, worked as an engineer at CSIRO and Unilever after settling here in 1950. 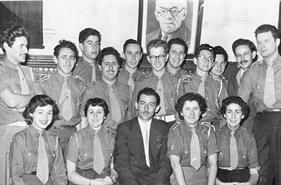 He wrote in a letter in 1993 nominating the Barans as Righteous Among the Nations at the Yad Vashem memorial in Jerusalem that Jozef Baran was "broadly straight and just". 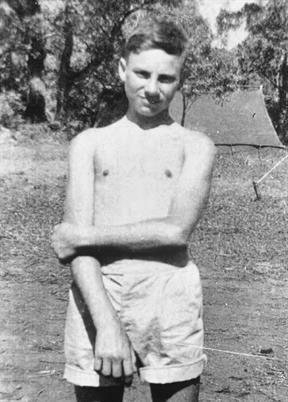 He brought his wife Frances and three-year-old Henryk to the "bunker" in October 1941, visited them when he could and escaped the camp to join them in January 1943. 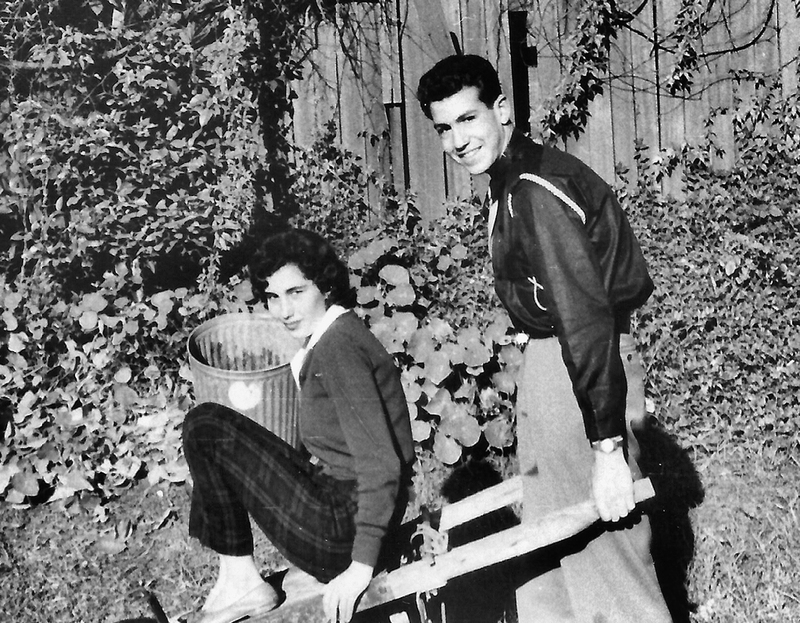 The Barans would leave buckets with food in the shed. The Kranz family would emerge for a few hours at night. Henryk, ill at one stage, was cared for in the farmhouse and remembers gazing fearfully up the hill at a boy walking a bicycle. The boy stopped and stared before continuing. Through a crack in the door he saw sunlit fields with bright yellow flowers. And once he heard sounds of people searching the shed. "They were trying to find some hidden trapdoor; we were very quiet trying not to make a sound at all." 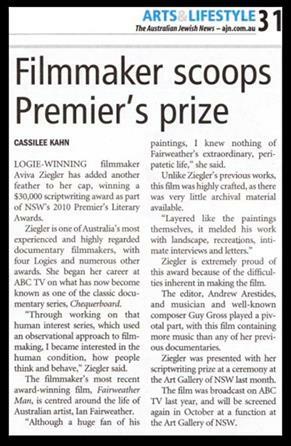 For service to the community through raising awareness of Tay-Sachs Disease and as the Co-Founder of Gift of Life Australia. Volunteer, Tay-Sachs Disease Community Genetics Screening Program, since 1998; the program screens children and young adults’ carrier status for the Tay-Sachs Disease, an hereditary disorder of lipid metabolism which occurs most frequently in individuals of Eastern European Jewish ancestry and those with French-Canadian ancestry. 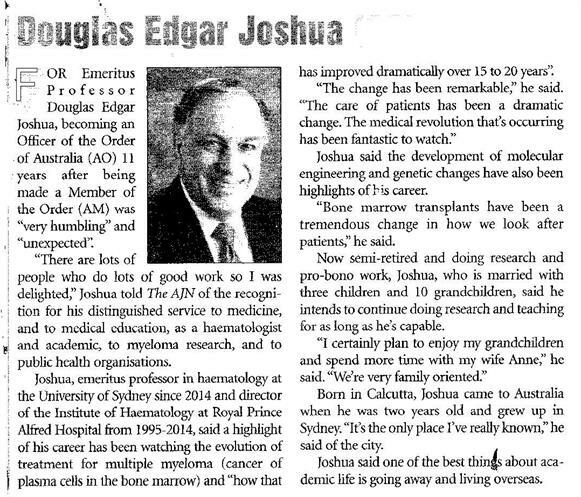 Co-Founder, Gift of Life Australia, 2006. 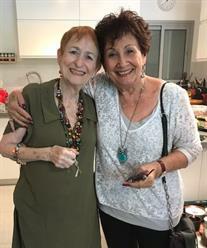 In 1994, Mrs Endrey-Walder (Rosenfeld) set up a clinic on Sunday mornings at the Wolper Jewish Hospital to take blood samples from people willing to join the Australian Bone Marrow Donor Registry, raising awareness about the issue and facilitating the enrolment of over 5,000 Jewish donors. 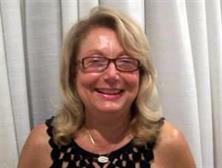 Member, Board of Management, Wolper Jewish Hospital, since 1996. 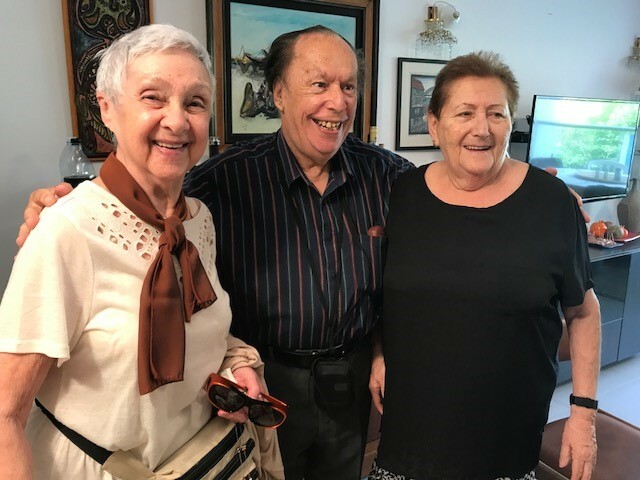 Coordinator, Scarba Volunteer Family Fund, since 1999, under the umbrella of The Benevolent Society; assists underprivileged children, mothers-at-risk and families-in-crisis. Volunteer at Our Big Kitchen project; a Sydney Yeshiva program. The P&F of Betar NSW is holding a spectacular cocktail party on Tuesday Evening January 26 2010. It's being held in a fabulous home in Dover Heights with spectacular views over the harbour sunset and fireworks. 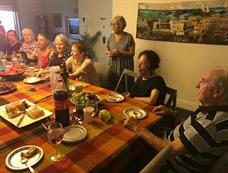 Kosher fine cuisine and most liquor and refreshments are included in the price. There'll be live and recorded background music. Hopefully there will also be a video hookup with some olim. You'll get to meet the new Mefakedet of Betar Sydney. And most important, you'll get together with old friends and make some new ones at the same time. 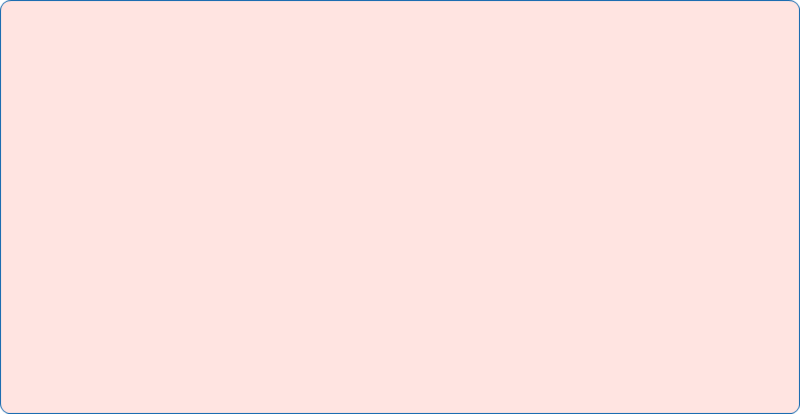 We'll be sending out invitations in the next few days. Numbers are absolutely limited to about 100 guests, so you'll need to get your RSVP in as soon as possible, once you get your invitation. If you want to be invited but you are not sure if you are on our mailing list, please email us urgently with your full contact details including your postal address, and give us the details of anyone else you want us to invite. Let others know about this too. This is the first fund-raiser of the 2010 year and will be unforgettable. This year will be a very exciting one for the movement. 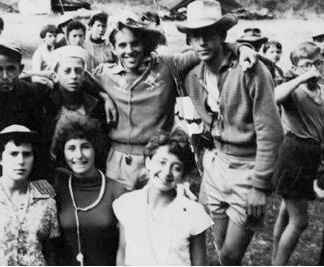 * subsidies for those Betar leaders who cannot otherwise afford to go on Shnat (Machon) - costs are now up around $30,000 per participant! We'll need help from those of you who are able to contribute. * And we'll be providing continuity where requested by the movement, from one generation of leadership to the next. Hoping to get to know you all. Thanks to Avram Appel for "cleaning out his drawers". 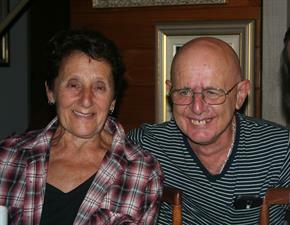 G’day Henry and Miriam: I am currently updating our web site at www.162smilingfaces.com. May I assume that Ari is your son? Just need to make sure before I post an article. - Harry. You bet!!! Ari ( A.K.A. Lionel ) is ours!!!! Deborah our eldest lives with her French Husband "Jean" & 4 daughters in Moddi'in & has been in Israel for 18 years. 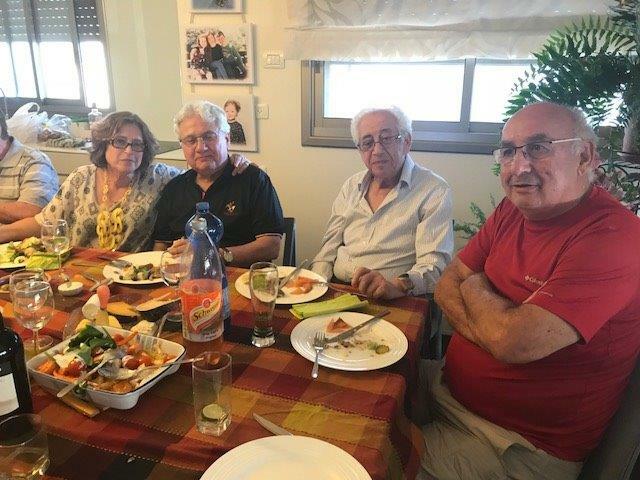 Ari, our older son, lives in Ra'anana with his Betar companion/wife Shuli & their 5 sons & also have done so for about 15 years. 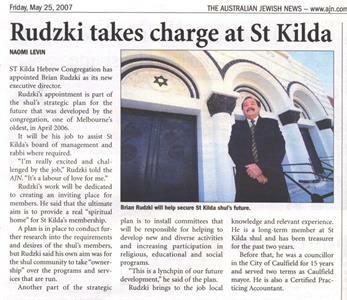 He is currently giving back to the movement & Jewish Community that made him what he is today, some of what he has learnt & become. In other words he's the current Betar Shaliach- in Oz,-since January this year for the next two years!!! 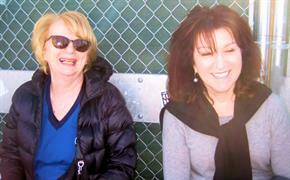 Our younger two children live in Oz still -- Naomi & her son Benji. And Simon, his South African, Moriah College educated wife Lauren and their one daughter & two sons also live in Oz. 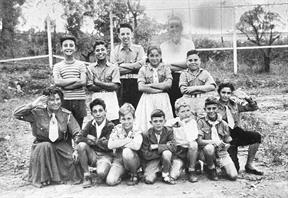 So you can see we are very blessed with 13 Grandchildren, (T.G.) whom my Mother, who is still "hale & hearty "at the age of 92, enjoys very much!!! Including my brother David Destons' grandchildren my mother has 18 Great Grandchildren!! 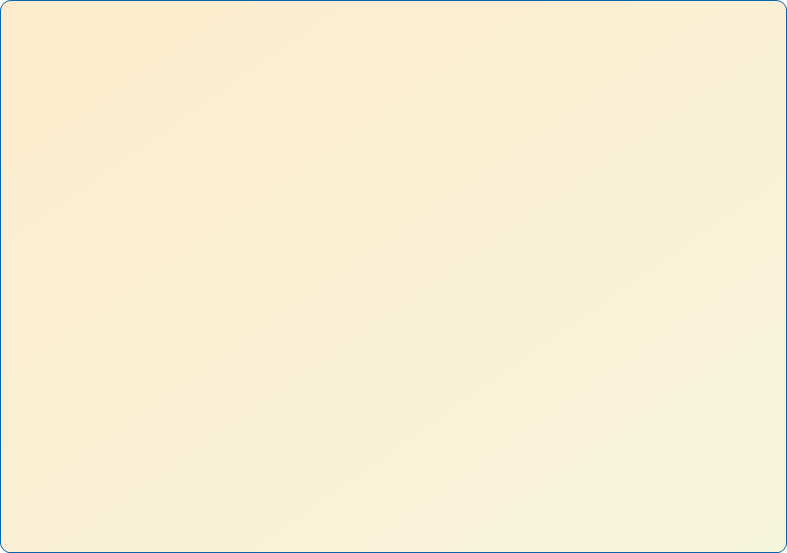 (CHAI). Nice to be able to qvell a little!!! I do not know if you remember me, Lizzie Schneider from Sydney. Michael Price was over here for lunch the other day and I was showing him my old photos of us at different camps way back. When I can get someone to show me how.... I will send them to you....In the meantime, here's this! 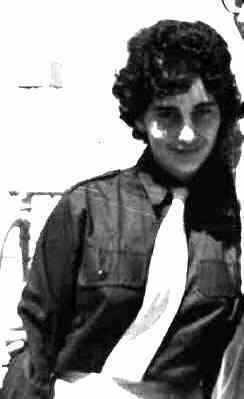 I guess I'm just that little bit younger than some of you lot, not a bad thing these days....... I was in the Kana'im group in the late fifties. 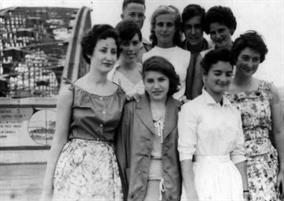 I attended Betar with my schoolfriends, Millie Savdie (deceased about 20 years ago), and Di and Debbie de Berg. 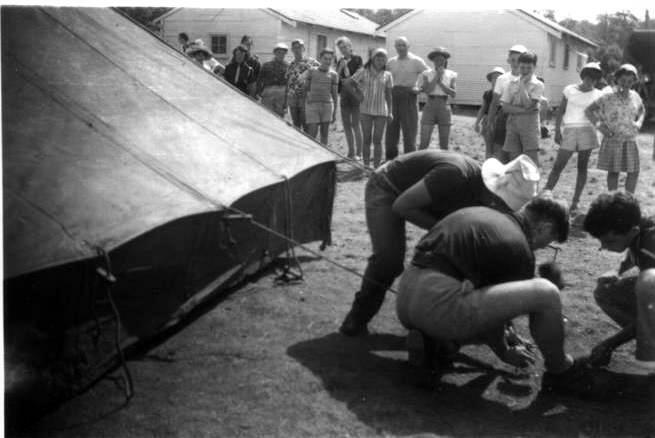 I attended two camps, one at Commodore Heights; the other I have forgotten where, although I also did attend another camp(let) at Springwood at the foot hills of the Blue Mountains. 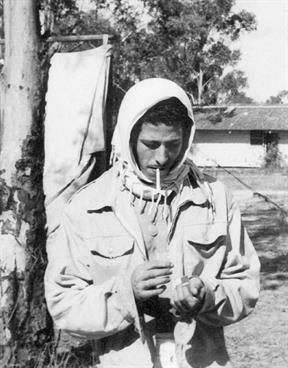 Ruminations....Danny Rosing was head serang, and the Kana'im leader was Chava [VK - Weissberger]. Eddie Adamek, a year younger than me, is my brother-in-law's brother. He was in the other Kana'im group. 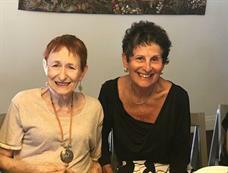 We have all known each other for 50 years or more; so, even though we remember you as a sprightly, red-headed teenager, it should not come as a surprise that you are now also 70 years old. Human nature being what it is, we tend to forget that our friends also grow older. Looking at it the opposite way, we are reminded of the story of a bloke our age who goes to a new dentist, looks at his nameplate and remembers someone by that name who had been in his class in school. When he sees him, he says, “weren’t you in my class in Primary school”? Could be, answers the dentist, “what did you teach”? We wish you Sam, a very happy 70th birthday, health and well being. One piece of advice, from some of your old friends: never, under any circumstances, take a sleeping pill and a laxative on the same night. Henry & Ros Ben-Ezra (Bish). I would like to forward to you, that I will always remember you as you were many years ago. And to tell you that I had a mad crush on you then. I am thinking about you & hope that you can look back on your life on all the wonderful things you have achieved and accomplished. President Richard L. McCormick has announced the appointment of the distinguished Australian public official and criminal justice scholar Adam Graycar as dean of the School of Criminal Justice at Rutgers-Newark. The appointment is effective July 1, 2007. 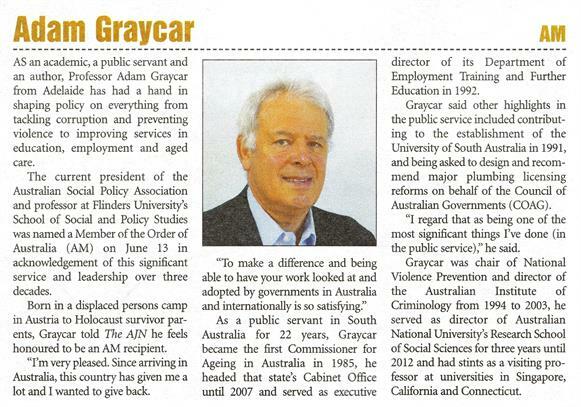 Since 2003 Graycar has served as Head of the Cabinet Office for the Government of South Australia, a civil service post which oversees the whole of government policies and activities and advises on broad-ranging topics of government policy, development and implementation. He also leads his state’s activities in federal and state negotiations. Prior to assuming the Cabinet Office position, Graycar held a variety of posts in public service and academia. 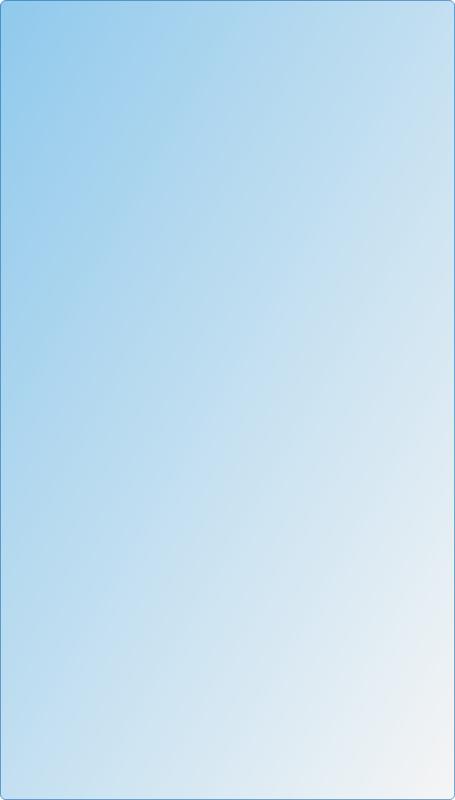 These have included director of the Australian Institute of Criminology, a federal government statutory authority (1994-2003); CEO of the Ministry of Higher Education; and executive director of the Department of Employment, Training and Further Education for the Government of South Australia (1990-1994); Australian Commissioner for the Aging (1985-1990). 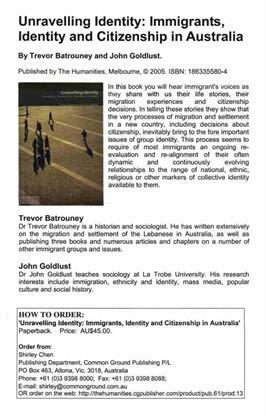 His academic posts were in the fields of social policy and political science at universities in Adelaide and Sydney, Australia. Graycar is a widely published expert on many aspects of criminal justice and social issues, with a record of numerous books, book chapters and journal articles. 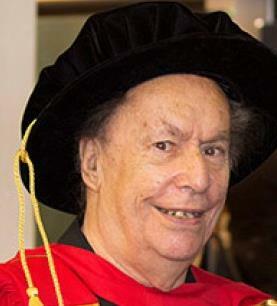 He is also the recipient of many awards and honors, including election in 1998 as a fellow of the Academy of the Social Sciences in Australia. He received a bachelor’s degree with honors in political science from the University of New South Wales in Sydney, Australia, and went on to complete a Ph.D. in Public Policy and a D. Litt (Doctor of Letters) in Social Policy from the same institution. 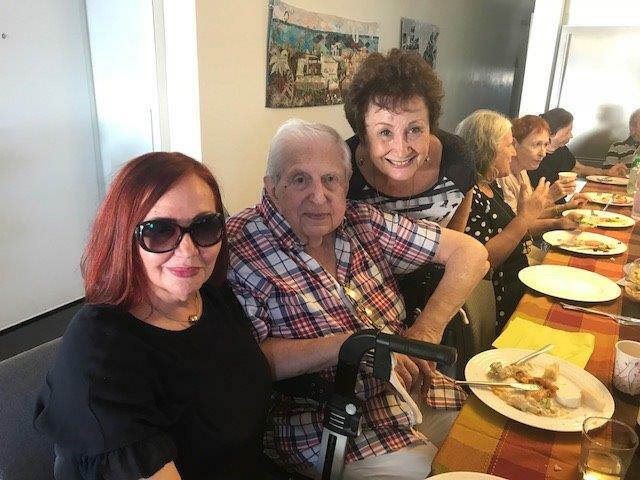 Over the years he has been a member or chair of many boards and committees, government and nongovernment, in Australia and internationally. For the past four years he has served as a member of the board of the Australian Bureau of Statistics, Australia's national census and statistics agency. The Rutgers School of Criminal Justice (RSCJ) was established at Rutgers University in 1972 by the New Jersey State Legislature, which recognized the need for a formal<> program of study dedicated to preparing students to be leaders in research, teaching and public policy to better address criminal justice issues. More than three decades later, the impact and influence of the school are respected internationally, and RSCJ is ranked as one of the top criminal justice schools in the nation. The school offers a bachelor’s degree in criminal justice (in partnership with the College of Arts and Sciences), as well as master’s and doctoral degrees. The doctoral program in criminology is ranked fourth in the nation by U.S. News & World Report’s Best Graduate Schools. While an experimental scientist at CSIRO Port Melbourne in the early 1980s, Paul Gottlieb helped create a prototype analysis system for measuring mineral composition in plant and ore samples. Employing a comprehensive understanding of physics, mineralogy and statistics, the QEM*SEM (Quantitative Evaluation of Minerals by Scanning Electron Microscopy) allowed technicians to rapidly identify and measure the distribution of minerals within samples. Right from the start the system was more than a scientific tool - it was used to solve industrial problems and the commercial possibilities of QEM*SEM were apparent. Paul set about converting the analogue prototype to computer control and digital image processing. A laboratory fire at Port Melbourne allowed Paul to completely redesign the system. Soon after, development was transferred to CSIRO Clayton and it was there that the world's first commercial quantitative mineralogical analysis system was built. The first production system was sold to the University of Minnesota. A second system was purchased soon after by a South African mining company and Paul and his team were soon in demand to tune and modify the units, so that metallurgists could have accurate information to improve mineral grade and recovery in mineral processing plants. While Paul and his team refined QEM*SEM, CSIRO suffered budget problems and key staff were lost to industry. With unflagging dedication Paul managed his design team, installed and promoted QEM*SEM around the world and organised user workshops and training sessions for its use. 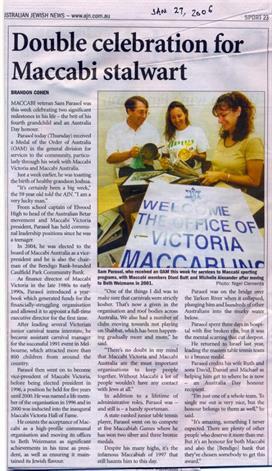 By the mid-1990s, Paul had developed a new generation system known as QEMSCAN based on PC control, and while riding an industry downturn he received the 1997 CSIRO Medal and the 1999 Sir Ian McLennan Industry Achievement Award for his contribution to Australian industry. 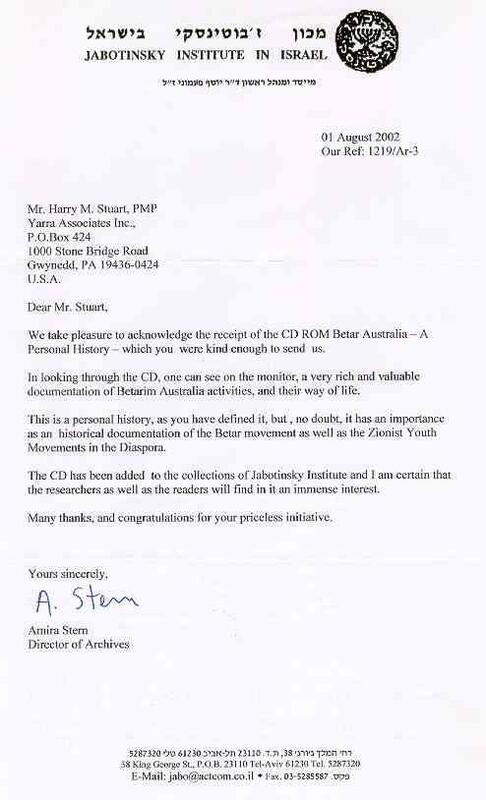 In 2003, CSIRO created a spin-off company, Intellection Pty Ltd, to market QEMSCAN. Paul became Chief Technology Officer. Today's QEMSCAN allows 12,000 mineral analyses per minute, with such accuracy that base and precious metal users have reported dramatic process improvement benefits. Platinum and gold producers are able to measure minerals present in ores as low as 1 part per million. CSIRO estimates the worldwide industry benefit of the system to be greater than $200M per year. 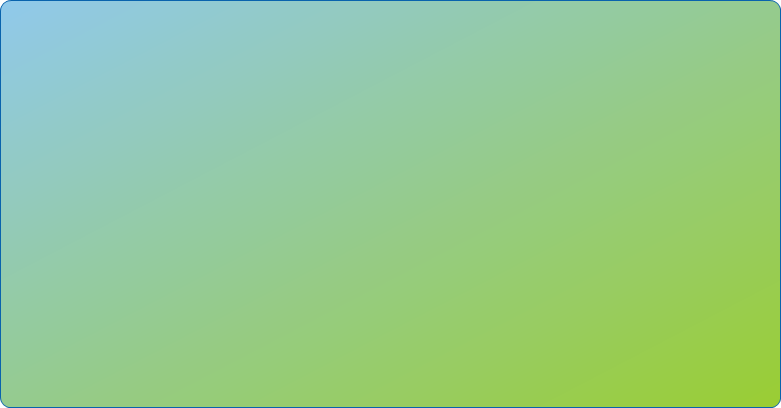 QEMSCAN has also been successfully applied to the oil and gas industry, coal, fly ash, building materials, soil, environmental, and forensic investigations - and Paul is still refining it and finding new applications. 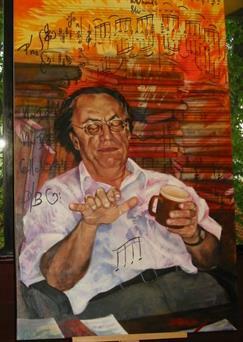 On Monday 9 October 2006 there was an official showing of the latest Larry Sitsky portrait, made by a local Canberra artist, at the Australian National University's School of Music. Photographer: Vernon Kronenberg. My name is Ben Klug and I am the Mefaked of Betar Queensland. 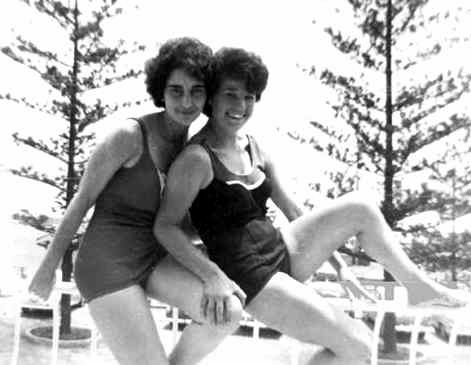 This year we are celebrating the 50th Anniversary of Betar Queensland, and I found your wonderful internet site while searching for information. 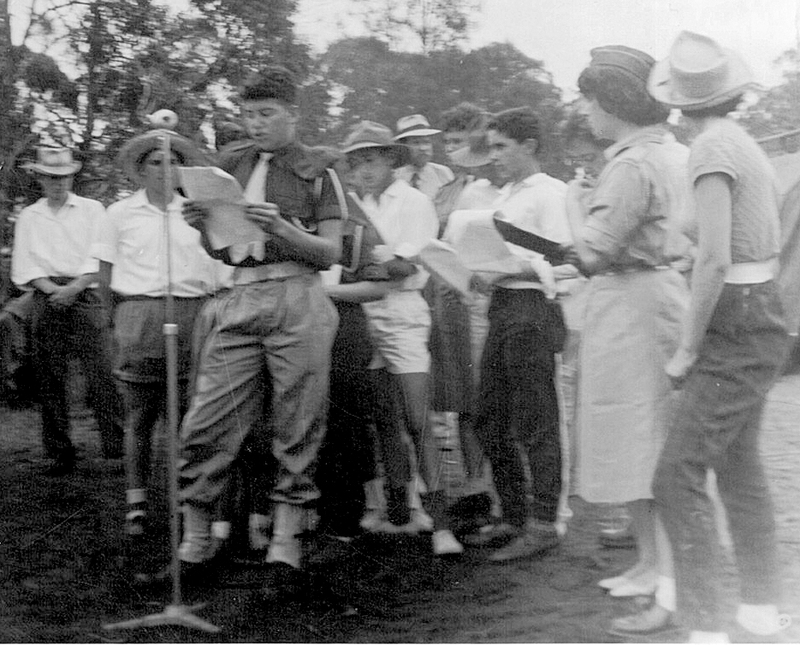 I would love to hear from you and if you have any information/photos/stories about Betar Queensland that would be fantastic. I hope these email addresses are still in use. 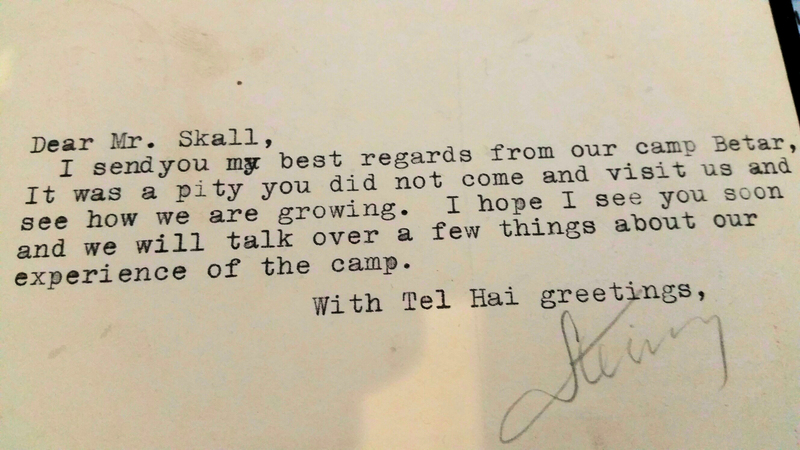 Kind Regards, Tel Hai, Ben Klug. 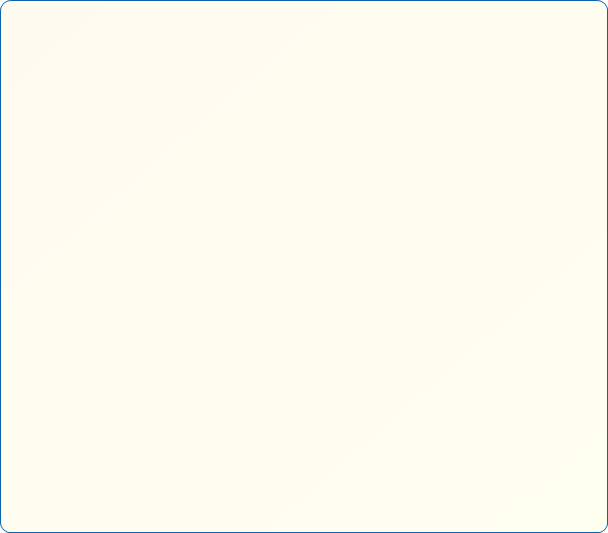 Thank-you so much for your fast reply, and for passing the email on for me. I really appreciate it. 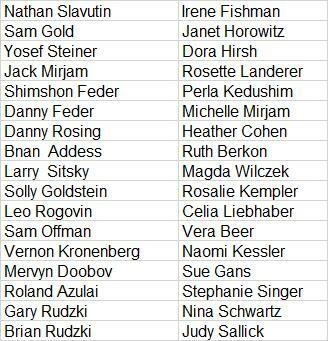 We are planning on having the reunion around the end of October and want to invite as many old Betarim as possible. I will definitely give you the final details to publish on the site as well as photos, after the event. if you have anything specific that you think should be mentioned or anything you know about Betar Queensland in the pass i would really appreciate it. Even if it is to just say hello to a few people- madrichim or chanichim of yours that are still in Brisbane. 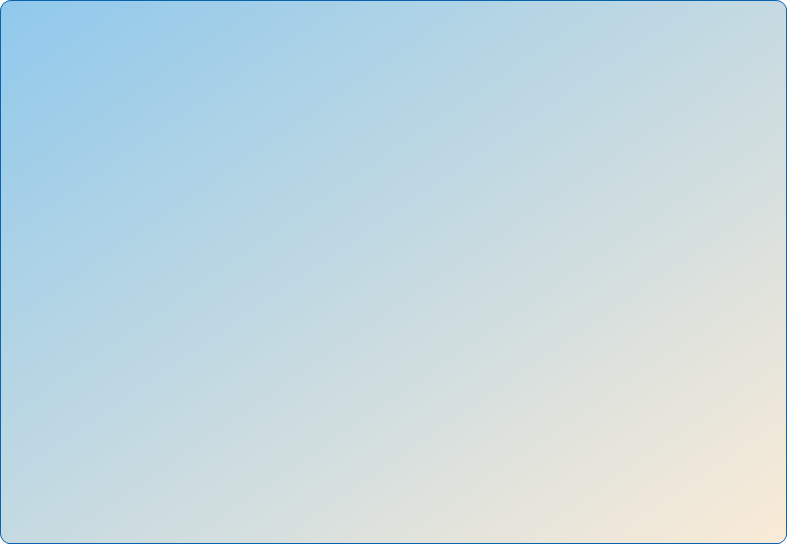 I really like the site and think it is a great idea! I would also like to ask your permission to put some of the photos in a slide show for the evening? Goodluck with the move, and I will keep you informed of how the plans progress. I have spent some time at night in this very hot summer trying, in my mind, to work out what to write. 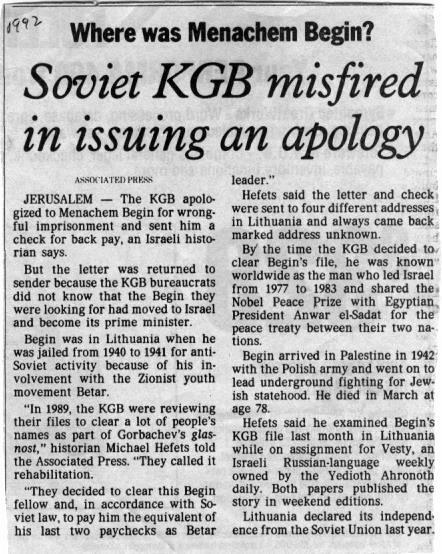 Firstly people to email: Lewis Trigger and David Zavelsky is oldest brother of Philip Zavelsky and others in that family. I understand he lives in Israel. They may be able to help you. The people with whom I had contact, or should I say contacted me, to start Betar in Brisbane include people living here with whom you should make contact - Danny and Heather Rosing. 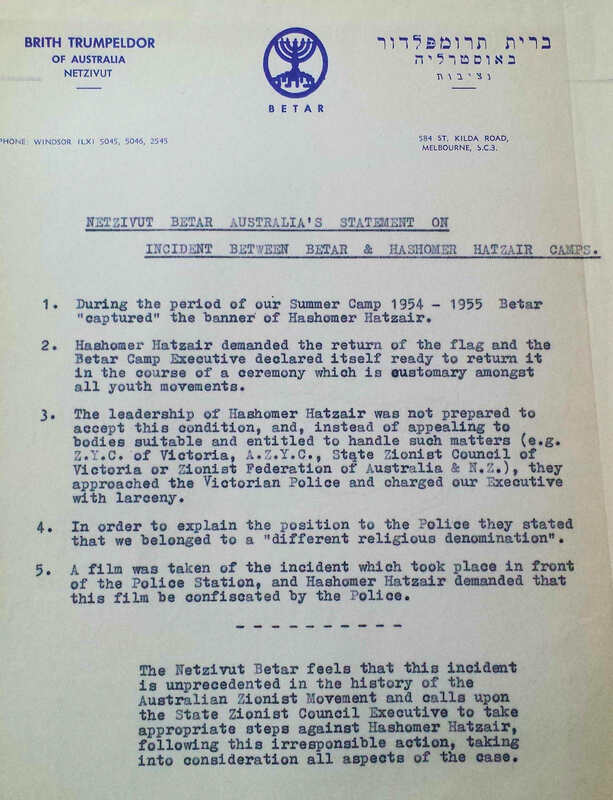 Danny was the head of Betar in Australia. Heather (nee Cohen) came to Brisbane with the late Naomi Kronenberg (Kessler) to encourage me to get involved in the beginnings of Betar in Brisbane. The Brisbane people who influenced me into starting Betar in Brisbane were the late Al Goldberg, then President of the State Zionist Council of Queensland, and his son Alec Goldberg who, if I remember correctly, now lives in Sydney. Alec later moved to Canberra from Brisbane and had a bit to do with Betar's operations there - as did Victor Young when he moved from Brisbane. 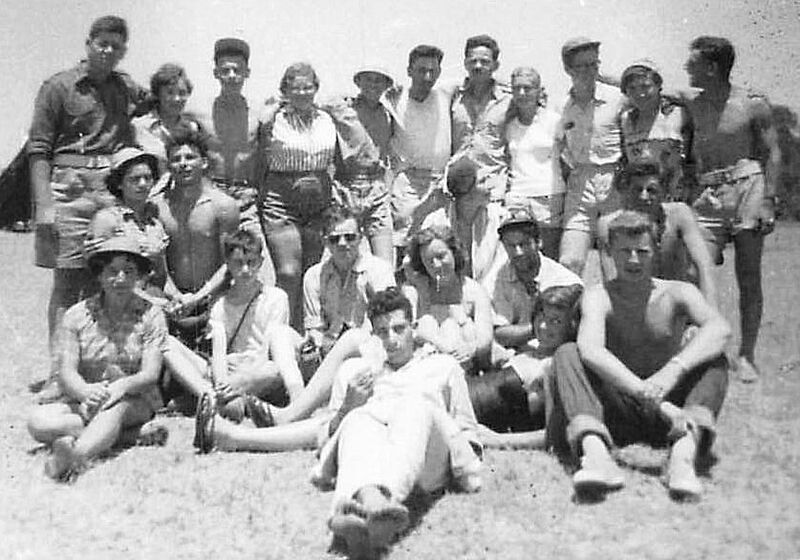 It was decided by the Zionist youth movements that, in smaller communities, there would be just one Zionist youth movement. Therefore for example Perth, I think, has/had Habonim. Brisbane was given Betar. 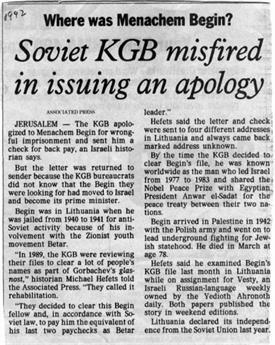 Some people objected to this organisation as, back then, anything connected with Herut, Israel's right-wing political party was very much out of favour. 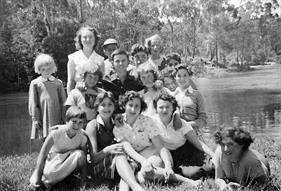 As the Goldbergs and others came to Australia from China where Betar had been very popular they backed the move. There had been a machonik from Brisbane before that but I don't remember what he did. He had been involved, I think, with Habonim - not Betar. That was the late Arnold Newhouse. Arnold died recently in Sydney. 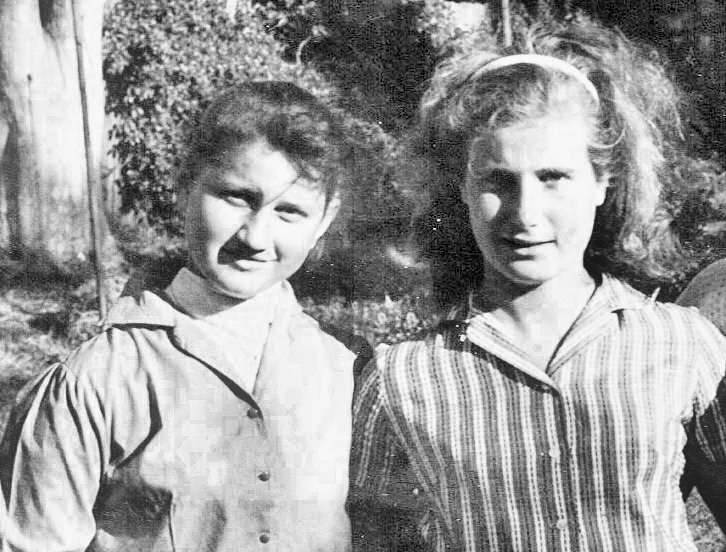 I remember being involved in local camps - with the mothers of campers - such as Miriam Ochert being the cooks in the kitchen, and Morris Ochert being there too!!! 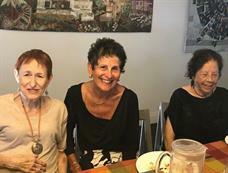 I did attend Kenes Artzi in Sydney at least once and, later following my return from Israel, Kenes Artzi in Melbourne. 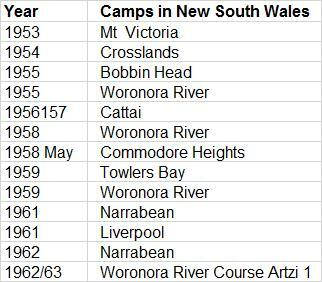 I do remember taking Brisbane children to the Sydney camp - by train overnight, in the summer of 1960-61 before I went on Machon. 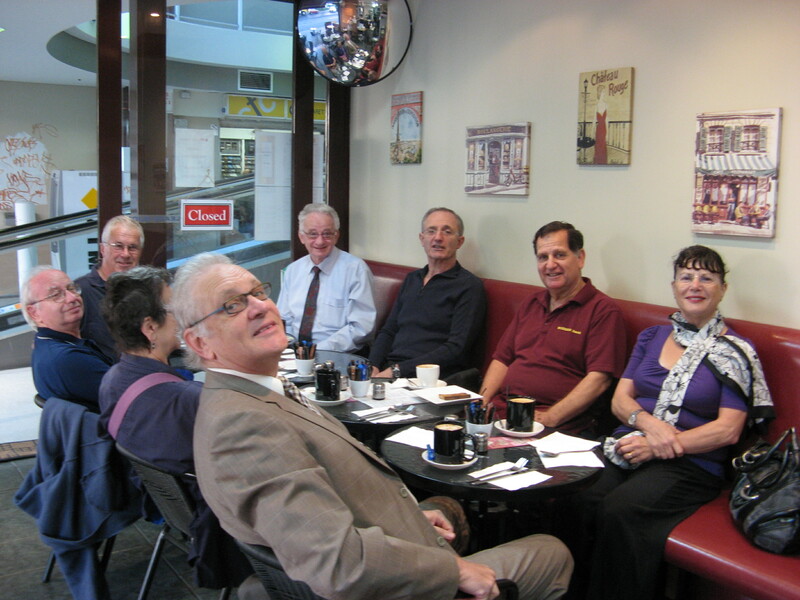 The people who were madrichim while I was running Betar in Brisbane included Brian Grayson (I don't know where he is. 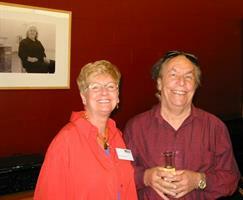 ), David Bennett and the late Regina List . When I left for machon people such as Brian and David took over the two groups running at the time. When I returned from machon I decided I should not interfere with what they had built up so I set up a group for older Betarim - Bnei Etzel. 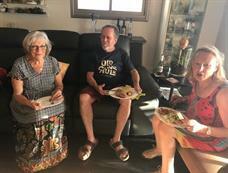 We met Erev Shabbat at my home where I lived with my mother. 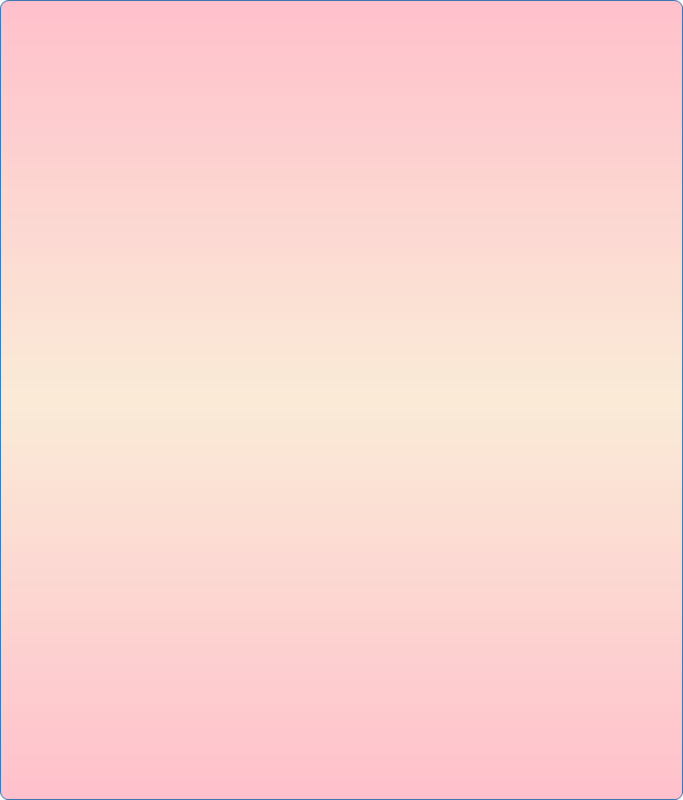 (I, by the way, came home at the beginning of October when my father died.) This group lasted a few years, I think. 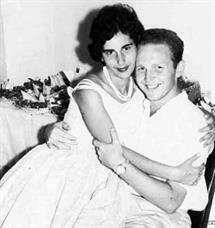 The result, for me, was my marrying Mervyn Doobov, a regular participant in the group. While I was involved with Betar I remember participating in the State Zionist Council of Queensland while Al Goldberg was the president. 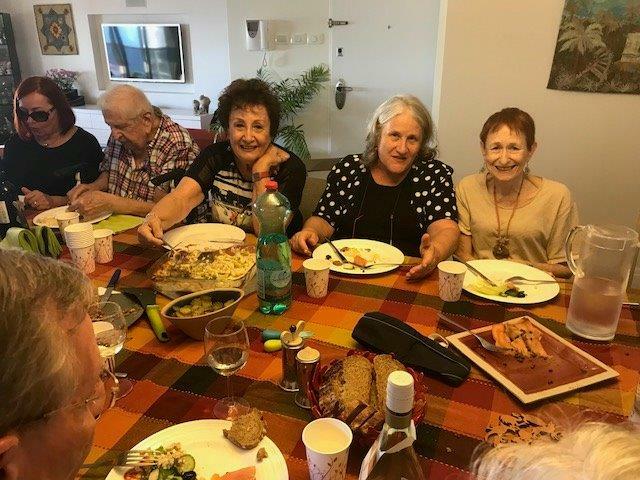 I know I got satisfaction from doing something constructive in the Brisbane Jewish community into which I had been born and which had accepted my parents and brother who arrived in Australia from Germany immediately prior to Word War II. 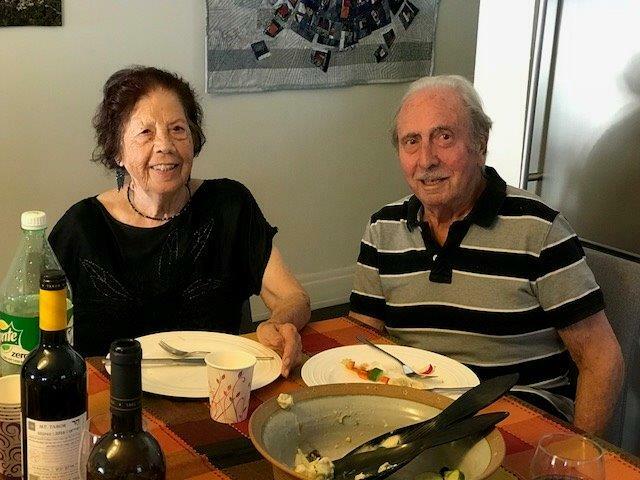 I also know that when we moved to Canberra, an even smaller Jewish community, Mervyn and I were more likely to do things in and for the community than others from Sydney and Melbourne, because we knew that if you wanted something to happen in a community you needed to do it. 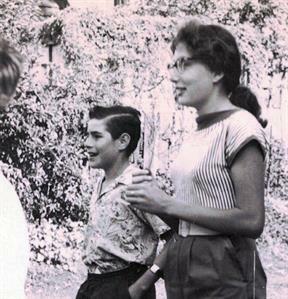 I will look in old photo albums for photos and, if possible, somehow send them to you. Can they be faxed somewhere? Maybe when I look at the photos I will think of something else to say. P.S. 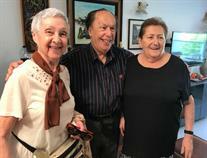 My brother, older than me, is Alfred Gans who is either treasurer or auditor for organisations within the community. He left Brisbane long before Betar was established. 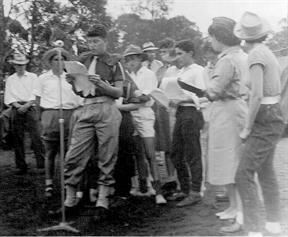 The song was sung in Betar Sydney using other words, which were later found in the 1960 Sydney University song book. We learnt it from Peter Wagner, but I think it must have had its origin in Melbourne Betar, because the words "Pilsener Lager beer" in one of the verses was sung then as "Foster Lager beer" and at that time Fosters, a Melbourne brewery, was not known in Sydney. 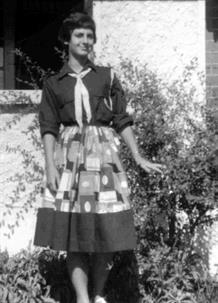 The South African version was in the Australian Betar song book of 1960. [But] it's the Sydney Uni version that I still remember and sing to myself from time to time. And that’s the only reason that we’re standing here today. To our little Sunday school and have a tot of rum. And we’ll tell you Bible stories that you’ve never heard before. She found the infant Moses in the rushes by the Nile. Which is just about as probable as Jonah and the whale. For instead of getting water he got Pilsener Lager beer. Solomon wrote the proverbs and David wrote the psalms. Jonah pressed the button and the whale did the rest. The roof fell in one day when he leaned upon a pillar. And this then was the end of Sam and lady-friend Delilah. She invited John the Baptist to a harmless little flirt. So she sent him up to Heaven with his head upon a dish. 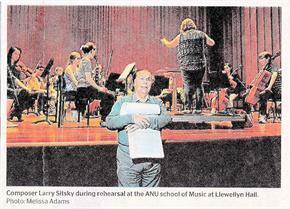 Note: The above comes from The University of Sydney song book, 1960, and it is the version we sang in Betar Sydney. It was taught [to] us by Peter Wagner. The version [below - as outlined in the response from the Loyal Reader] comes from the Betar song book of June 1960 and is probably South African Betar in origin. This is from the old South African song book. To our little Sunday School, And have a tot of rum. - as quoted by Avraham ........ and no recollection of ......... It's a lie ....... etc. But who knows? It was a hell of a long time ago! You know you're telling a lie. Till Eve was manufactured out of Adam's funny bone. Rising early in the morning and settling down with Eve. ADAM was the first man and Eve was next of kin. Satan was a bad man, and tempted them to sin. For Eve got the apple, and Adam got the pip. Until they had a baby boy, and started raising Cain. His father left him half the farm and his brother Jake the rest. So he sold the whole kaboodle for a sandwich and a beer. Was found by Pharoah's daughter as she took her morning dook. She took him to her Pa and said, "I found him on the shore." But Pharoah winked his eye and said, "I've heard that one before." He killed ten-thousand Phillistines with the jawbone of a mule. And she left him in the gutter, where the coppers ran him in. When he met a hungry lion coming from its morning bath. When he turned it inside out, it ran the other way. His Majesty remarked he would not stand for that sort of thing. But Daniel was a dentist and he pulled the lions' teeth. With a box of patent medicine and a troupe of dancing bears. And he went up in the evenings in his patent fire-balloon. Was expected by the stokers to immediately expire. And said, "My hearties, keep it shut, I cannot stand the draught." So Solomon wrote the proverbs and David wrote the psalms. JONAH was a mariner who dearly loved to sail. He booked an ocean passage on a Trans-Atlantic whale. 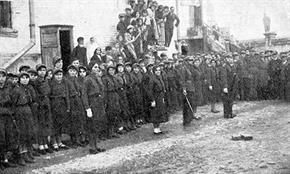 From the Peter Keeda historical connection, 2 images of Betar in the Europe in the 1932 to 1933 era. 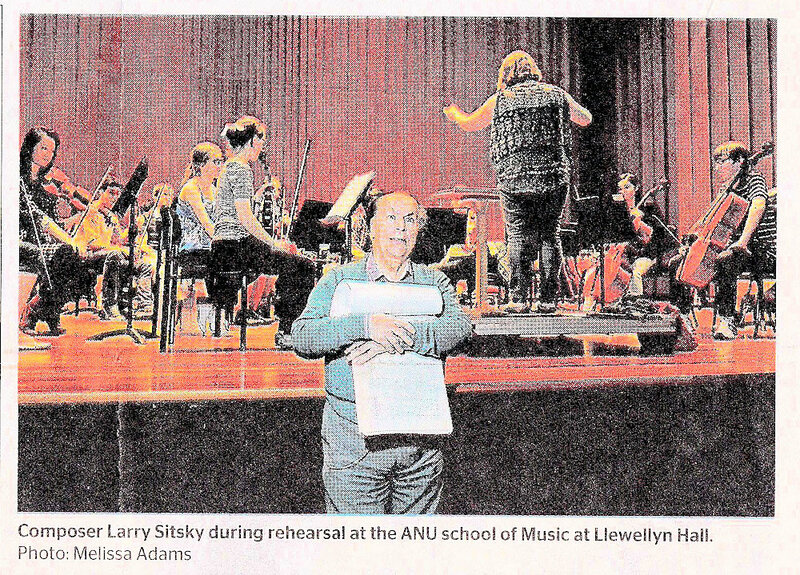 As a composer, Larry Sitsky has collaborated with every major orchestra in Australia, with pieces commissioned by many leading Australian and international bodies. Among his best-known compositions are the massive solo piano piece The Way of the Seeker; concertos for various solo instruments, including four for violin; the operas Lenz, The Golem and The Fall of the House of Usher; and an ever-expanding series of works spanning a number of different media, all entitled Fantasia. 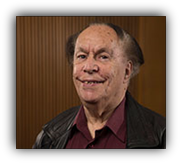 Larry Sitsky became a Member of the Order of Australia in 2000 for his service to music as a composer, musicologist, pianist, and teacher, and his numerous other honours include the prestigious Don Banks Award. 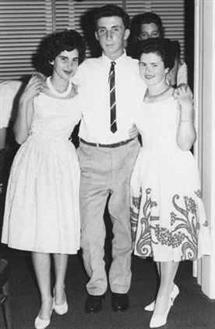 His academic career has taken him to the San Francisco Conservatory, the Queensland Conservatorium of Music, and the School of Music in Canberra (now part of the Australian National University). Over the years, his teaching activities have spanned that of adjudicator, examiner, broadcaster, and guest lecturer for many professional music education societies. 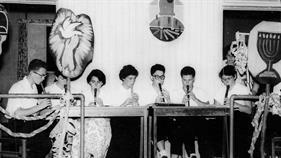 His students have also played an important role in his creative life. Now 80, Larry Sitsky continues to perform, research and compose, with over 200 pieces on his list of works to date. His curiosity for new ideas and quest for discovery, in both his own music and the music of others, has made him a powerful force in shaping Australia's contemporary cultural life. 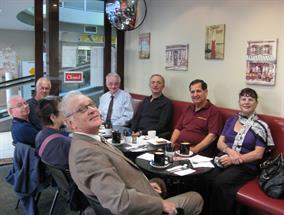 Judy Bahar wanted to remind the Sysneysiders how they looked 7 1/2 years ago at a Sydney Brekkie. 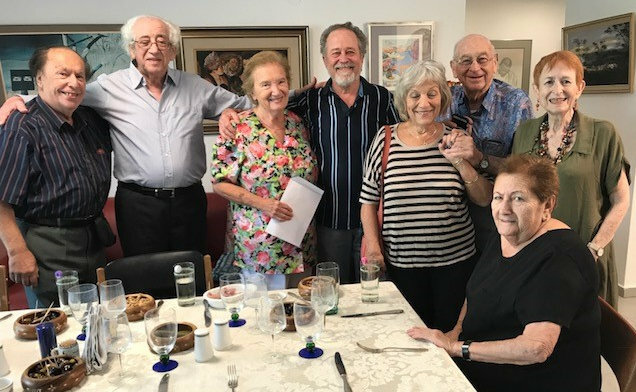 So, look and weep: (clockwise from front) Norman Sarajinsky, Jan Poddebsky, Sid Agranoff, Michael Price, Peter Cohen, Keith Masnick, David Deston, Helen Meyer (with Judy Bahar behind the camera). 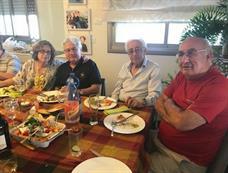 Dora and Yosef Steiner's 50th wedding anniversary was celebrated last month in Yaffo at the Alhambra Restaurant. 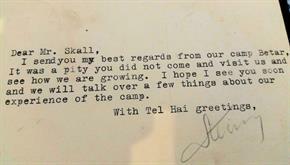 The President of the State of Israel, Mr. Moshe Katzav, and the Prime Minister of the State, Mr. Ariel Sharon, sent their greetings. 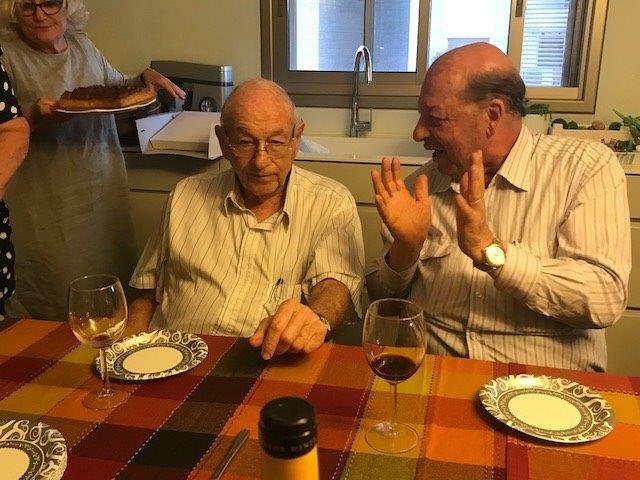 Moshe Arens, M.K., former Minister of Defence, spoke of the close relationship he had with Australian Betar while he was leading the Movement in the USA. 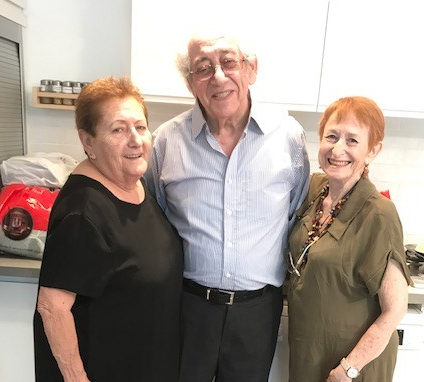 Moshe Nir (Wagner), a Jewish Brigade veteran and former Ktzin Shilton Betar, recalled the arrival of Dora and Yosef in Israel, when his family and the family of Avraham Drori adopted the first Betar Olim from Australia. 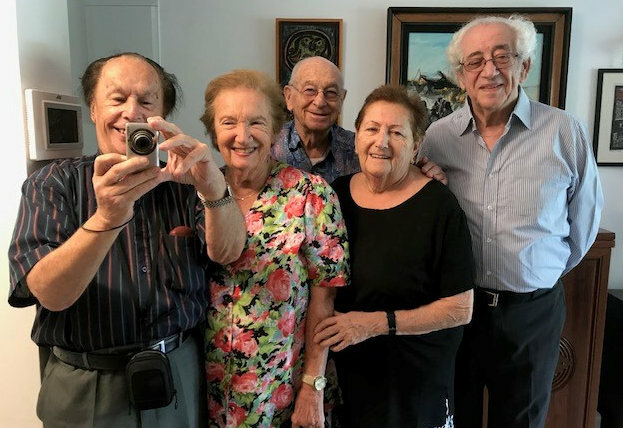 At that time, the Nirs already had two children and were living in a one-room apartment, but even so found room to host the young couple, proving that even the impossible is possible. 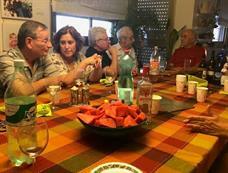 Natan Ben-Yosef, a veteran of Betar who is today Shofet Betar, greeted the gathering, and praised the couple. Isi Leibler, former President of the Executive Council of Australian Jewry, recalled the days when the first coalition of Betar and Bnei Akiva was established in Australia, pushing the Left into opposition for the first time. He also provided some humorous anecdotes, amongst others recalling the disruption by Betarim of a musical performance in Melbourne by the former Nazi pianist, Walter Gieseking. 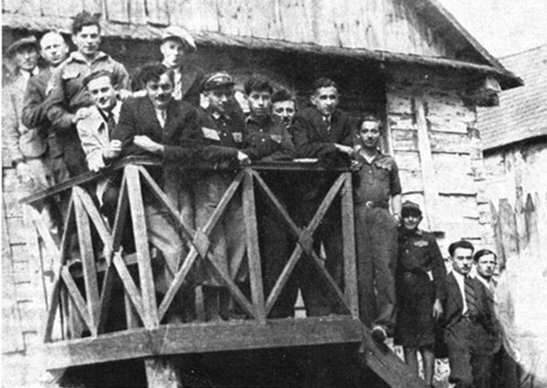 Ephraim Even praised Yosef on initiating the publication "B'darko" ("In His Way" - Jabotinsky) which he believed to be the best Movement publication for many years. 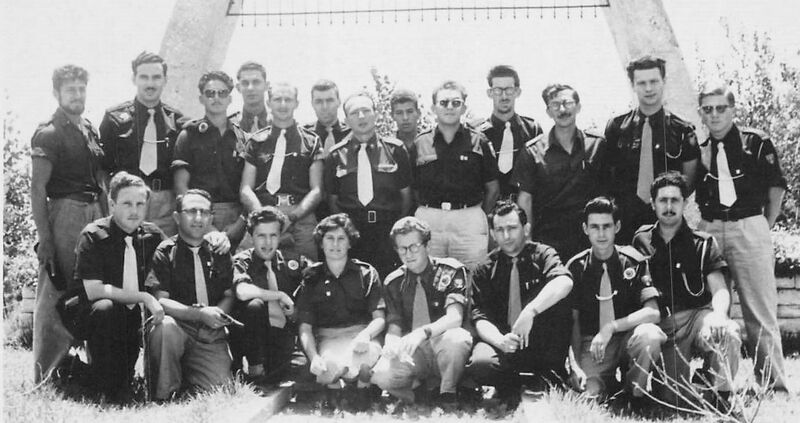 Prof. Theo Balberyszski, the President of the Jabotinsky Order in Israel, recalled the time when he was a member of the Australian Netzivut, and praised all those in the Movement who disagreed with Yosef, including Dora, but who, in the end, acceded to his orders. 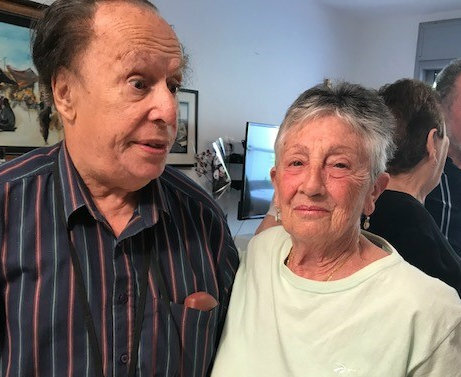 Yehoshua Shani presented the couple with a humorous certificate form the "University of Life". He added that he believed that the "young couple" had graduated from this university with honors. Rachael Eshkar read a song by Ilan Goldhirsh "Etzli o Etzlech", which she rendered in a beautiful, feeling and most professional manner. David Ben David was the last of the speakers. 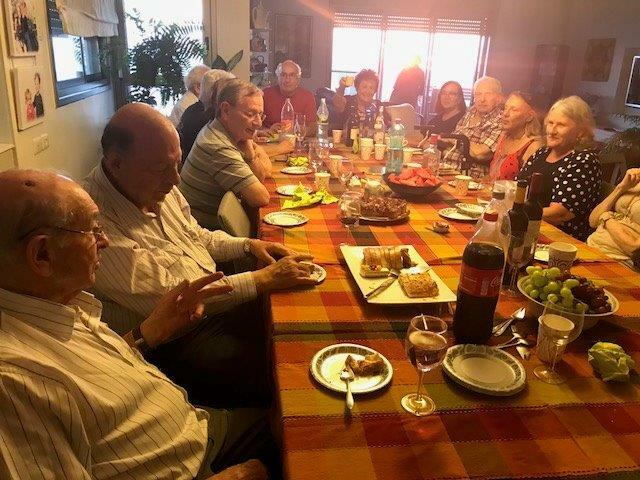 A friend of the family since his student days in Australia, he recalled the short discussions which usually lasted until the wee hours of the morning. With his typical sense of humor, he recalled Dora's first attempt at making "instant" pudding - which practically killed him. With charm and wit, Marcelle, the daughter of Dora and Yosef, conducted the evening. 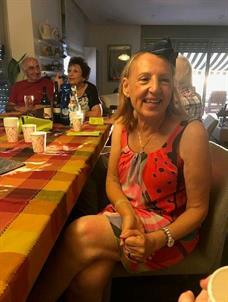 She quoted from some of the letters received, amongst others, from Shimshon Feder who wrote a four-page poem; Yehoshua Halevi who wished the couple good luck in his humorous style; Yaacov (Ferri) Fleishman, the last Hungarian Natziv Betar, who this year reached the age of 89; and Shlomo Korr who wrote a beautiful and traditional blessing. The official part of the evening had commenced with a minute's silence for recently-departed Sara Ben Oderet (Har-Even). Sara, together with her husband Aaron, provided a home-away-from-home for Australian Betarim arriving in Israel. They had been designated as the first Australian Schlichim to the Australian Betar. The Glencoe Film Club started way back in July 1999. It was inspired, in part, by the fact that Imi Weinstein had a large screen TV and that several people enjoyed films and were interested in finding out more about them. 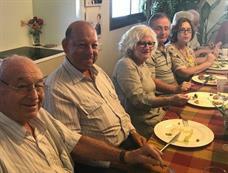 The core group are all ex-members of Betar and of the same vintage as those of this website, or people closely associated such as a spouse or close friend. 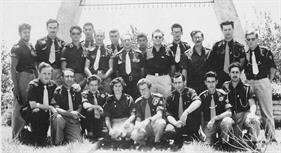 The original presenters are nearly all current and regular attendees. 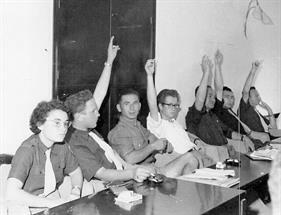 Presenters take it in turns to choose a film. 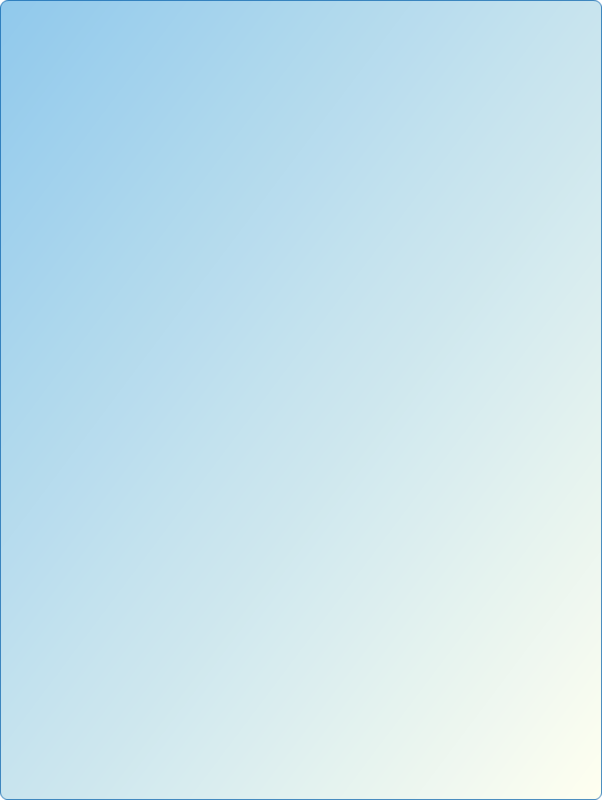 The choice is introduced with an explanation of why it was made and then a discussion may take place afterwards. Some films generate a considerable amount of discussion and this is one of the great pleasures of being in the club. Some old films stand the test of time very well but others are quite dated. A few films have been followed by stony silence. Aaron Ninedek sends out a monthly email to members outlining the films that have been presented, who the presenters were and a synopsis of the film just screened. If you would be interested in joing the group, send an email to Aaron. Our Madrich told us to write to our parents in case you heard about the flood on radio and are worried. We are okay. Only one of our tents and 2 sleeping bags got washed away. Luckily, none of us got drowned because we were all up on the mountain looking for Adam when it happened. Oh yes, please call Adam's mother and tell her he is okay. He can't write because of the cast. I got to ride in one of the search and rescue jeeps. It was neat. We never would have found Adam in the dark if it hadn't been for the lightning. Our Madrich got mad at Adam for going on a hike alone without telling anyone. Adam said he did tell him, but it was during the fire so he probably didn't hear him. Did you know that if you put kerosene on a fire, it will blow up? 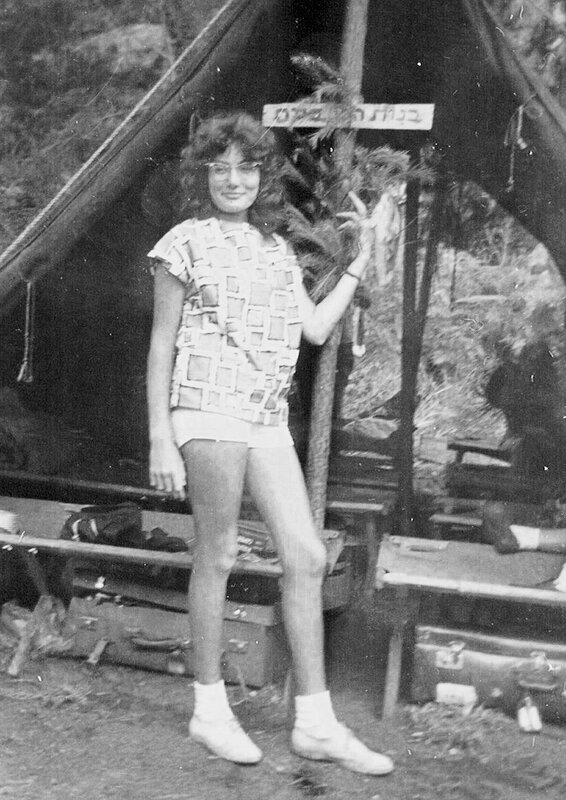 The wet wood didn't burn, the marquee cover did and also some of our clothes. Brian is going to look weird until his hair grows back. We will be home on Sunday if Mefaked Yosef gets the bus fixed. It wasn't his fault about the accident. The brakes worked okay when we left. Yosef said that with a bus that old you have to expect something to break down; that's probably why he can't get insurance. We think it's a neat bus. He doesn't care if we get it dirty, and if it's hot, sometimes he lets us ride on the fenders. It gets pretty hot with 162 people in a bus made for 48. He let us take turns riding in the trailer until the police stopped and talked to us. Our Madrich is a neat guy. Don't worry, he is a good driver. In fact, he is teaching Jessie how to drive on the mountain roads where there aren’t any cops. All we ever see up there are logging trucks. This morning all of the guys were diving off the rocks and swimming out to the rapids. 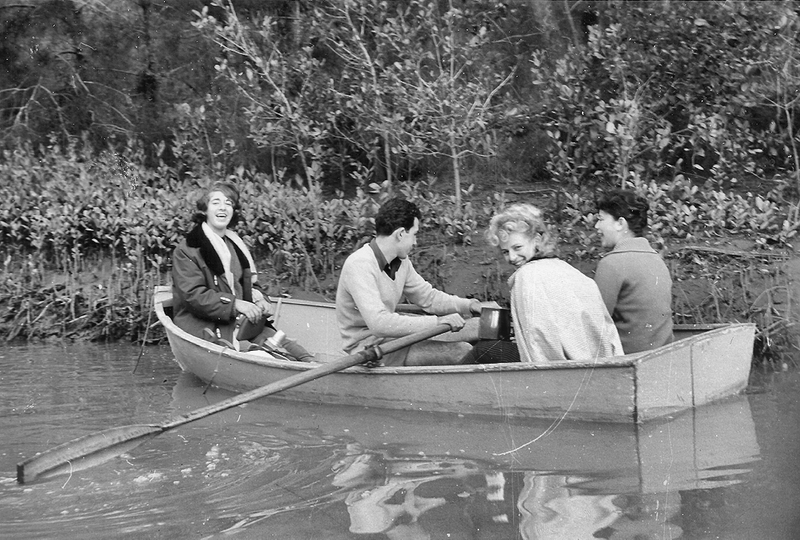 Our Madrich wouldn't let me because I can't swim, and Adam was afraid he would sink because of his cast - it's concrete because we didn't have any plaster - so he let us take the canoe out. It was great. You can still see the tent and some of the trees under the water from the flood. Our Madrich isn't crabby like some other Madrichim. He didn't even get mad about the life jackets. He has to spend a lot of time working on the bus so we are trying not to cause him any trouble. Guess what? We have all passed our first aid merit badges. When Miriam dived into the lake and cut her arm, we got to see how a tourniquet works. Max and I threw up, but our Madrich said it probably was just food poisoning from the leftover chicken. He said they got sick that way with food they ate in prison. I'm so glad he got out and became our Madrich. He said he sure figured out how to get things done better while he was doing his time. I have to go now. We are going to town to mail our letters and buy some more beer and ammo. Don't worry about anything. We are fine. 2002 - What's in a Name? This article was updated in 2015!! 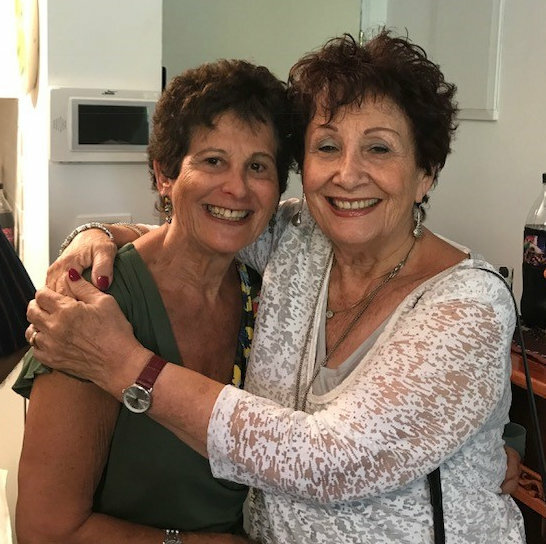 Betarim elected to serve as Natziv (leader) of Betar Australia. 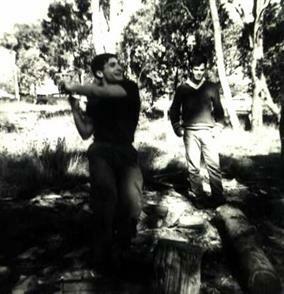 Betarim who volunteered to serve as a Shaliach (youth emissary) for a 3-year term for Betar Australia. Editor's note: No responsibility taken to the longevity, or lack thereof, of any relationship stated below. 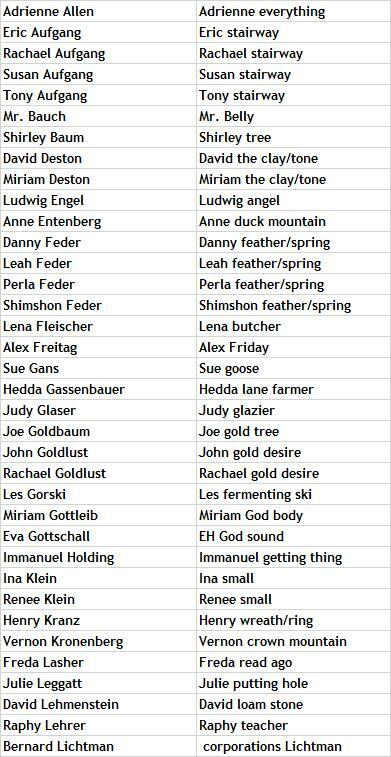 This list was compiled in 2002! 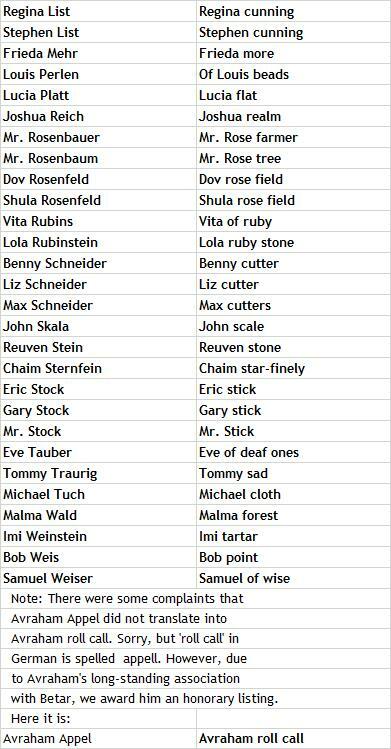 The Camps List: 1948 - 1965.
Who Married Who in Betar. 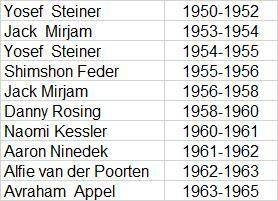 My mother Lily Skall (nee Seiden) was born in Vienna in 1918. 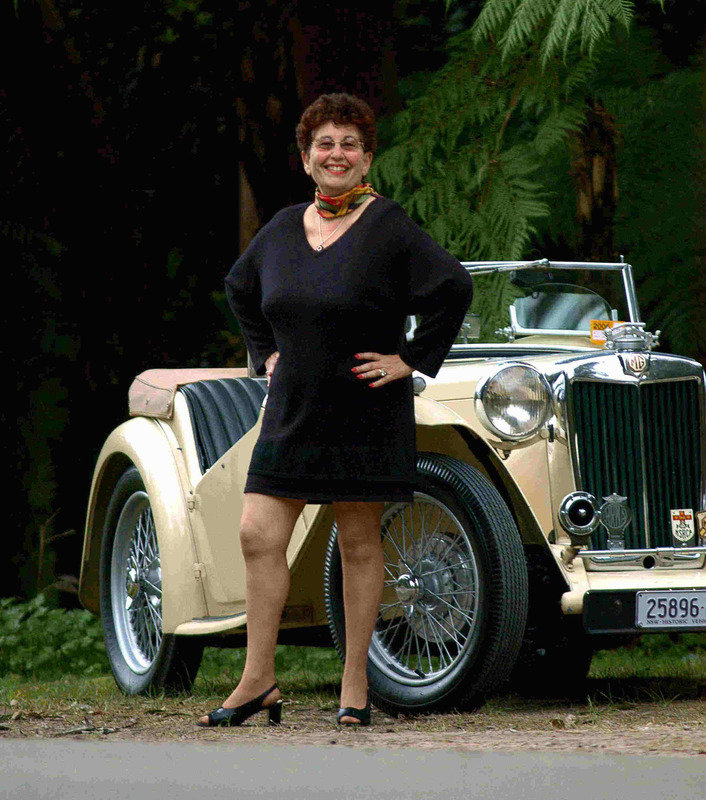 In her autobiography titled 'My Story' she writes about her family life in 1920s and 1930s Vienna. Then in 1938 Germany annexed Austria with what seemed like an overwhelming number of Austrians welcoming the Nazis. Lily and her fiancé Ernst had the possibility of getting out to safety but were unwilling to leave their parents and family members behind. They found a way to escape and still keep the family together by going to Shanghai China. Her story tells of their life in Shanghai under Japanese occupation, and their eventual departure in 1947 for Australia. 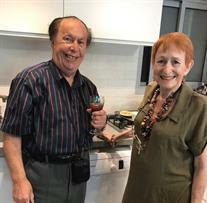 In Melbourne Lily and Ernst were active in the Revisionist movement and both my sister Judy and I became members of Betar. 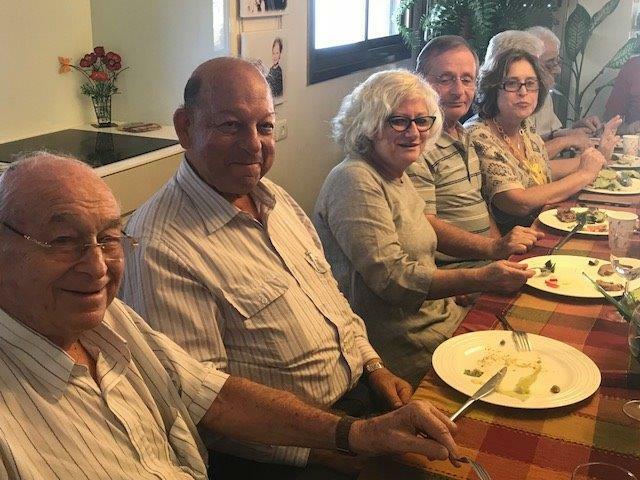 On the last sunny day before the "after Sukkot rains", about 25 Betarim from Australia, now living happily in Israel for decades; gathered to exchange news, shmooze, talk about the "old days" & generally enjoy each others' company over a companionable meal!!! To those of you who couldn't make it, we missed you.....but do hope you'll make it next time.....we had a great day, but would have loved you to have been there with us!!! 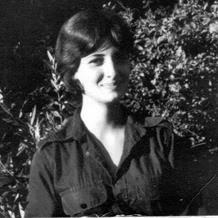 View Miriam Briggs's photo album here. 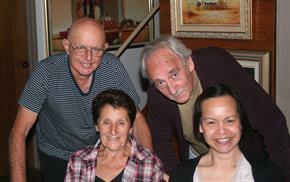 Peter Revelman and his wife Ihris welcomed Sarah and David Lewis for dinner in Melbourne in October. 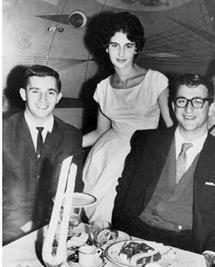 Some of us have not seen Sarah (Buntman) and David for 50 years - so thanks, Peter. 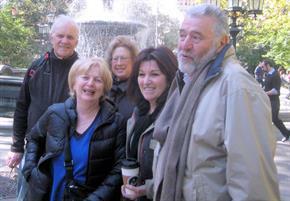 John Ziegler got together with 'old friends' in New York on October 20th. 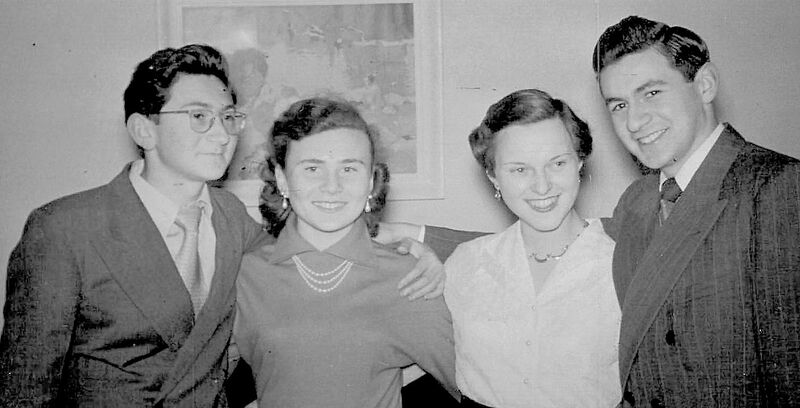 Left image (L to R): Norman Sarajinksky; Mary Ziegler (nee Stein); Robyn Sarajinksy; Ruth Ratner (nee Eisikovits); Leon Ratner. 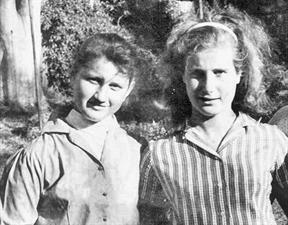 Right image: Mary & Ruth. 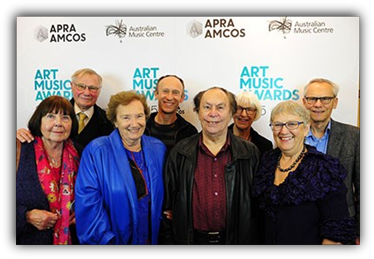 The Australian National University has honoured distinguished Emeritus Professor Larry Sitsky, presenting him with an honorary degree in recognition of his contribution to music and music scholarship and for his pioneering leadership at the ANU School of Music. 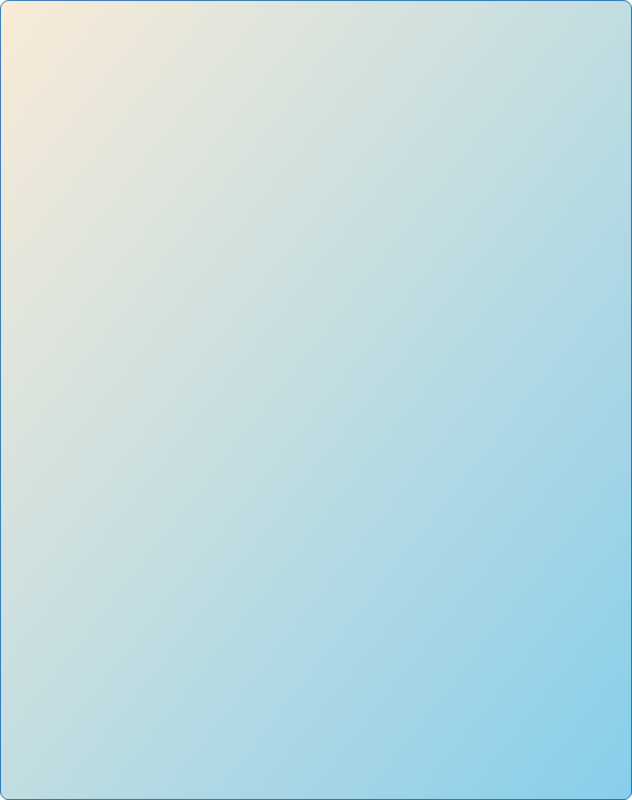 The paper is divided into four .pdf files - you will need Adobe Acrobat to read it. Download page 1 page 2 page 3 page 4. 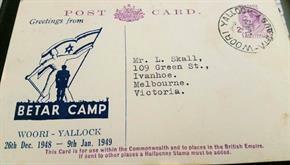 Evie Katz recently found an old postcard sent by Yosef to her father. 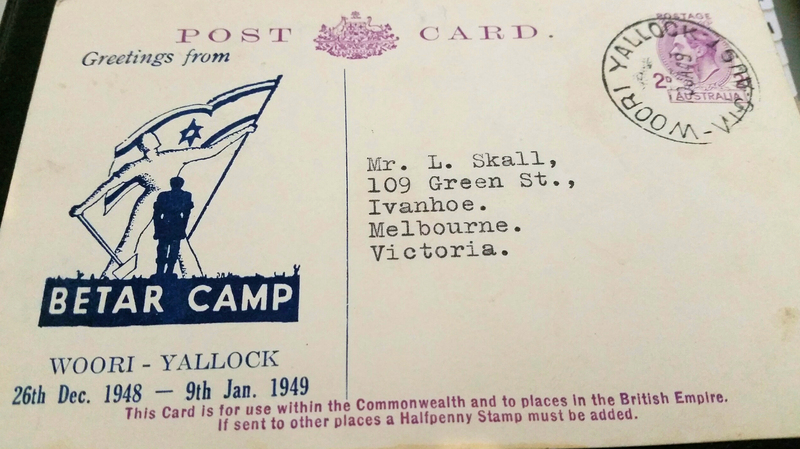 The time stamp indicates it was mailed the day after the 1948-49 camp. (It was delivered in 1949, not last week.). The words to an often performed playlet in the 1960's - based on the Wayne and Schuster skit popular at that time. The real words to the real skit can be found here. Watch the real thing here. 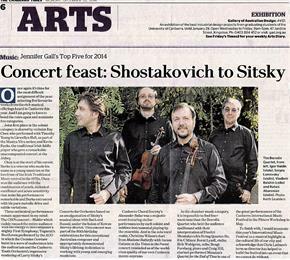 2014 - Larry Sitsky Impresses the Critics. 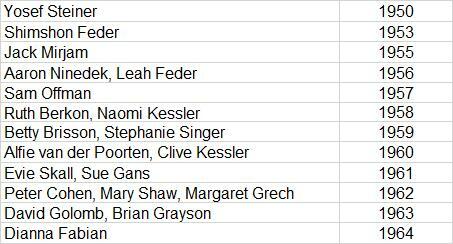 2010 - List of Honourees (updated Aug 18, 2015). 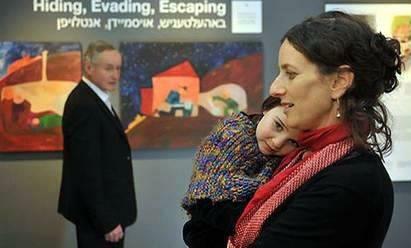 2010 - Holocaust Memories Preserved in Museum's New Home. 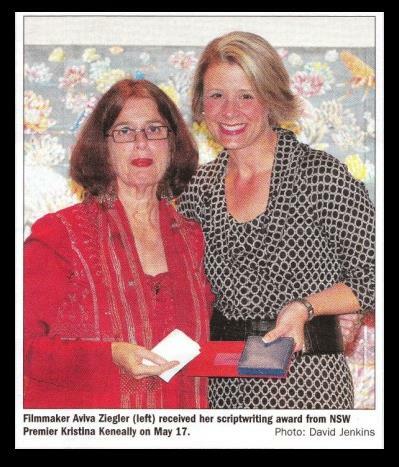 2010 - Aviva Ziegler Scriptwriting Award. 2010 - Shula Endrey-Walder Honoured with an OAM. 2010 - Fundraising Cocktail Party to aid Betar NSW. 2009 - 'New' old Camp Photos. 2009 - A letter from the Briggses. 2009 - Lizzie K's Secret Stash of Photos. 2008 - Betar Melbourne sells Maon. 2009 - Remember Me? - Lizzie Kornhaber. 2008 - Remember Me? - Pamela Orr. 2007 - Happy Birthday, Sam Offman. 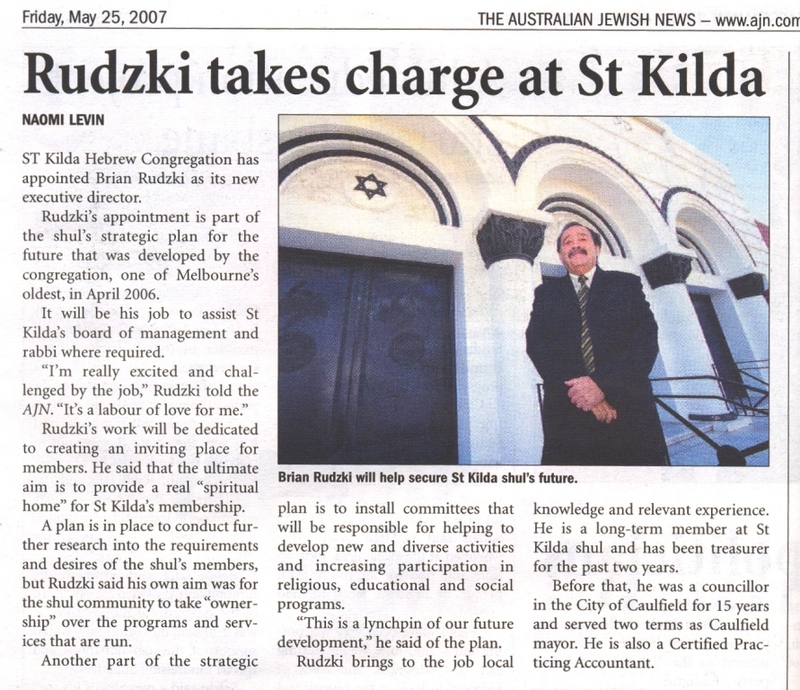 2007 - Rudzki Takes Charge at St. Kilda Shul. 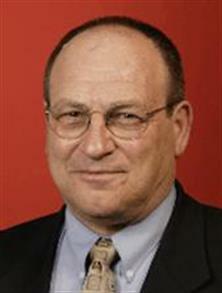 2007 - Paul Gottlieb AM, CTO, Intellection Pty Ltd, Queensland. 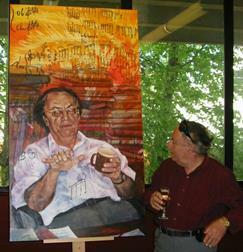 2006 - Larry Sitsky Portrait. 2006 - Brisbane Betar's 50th Anniversary. 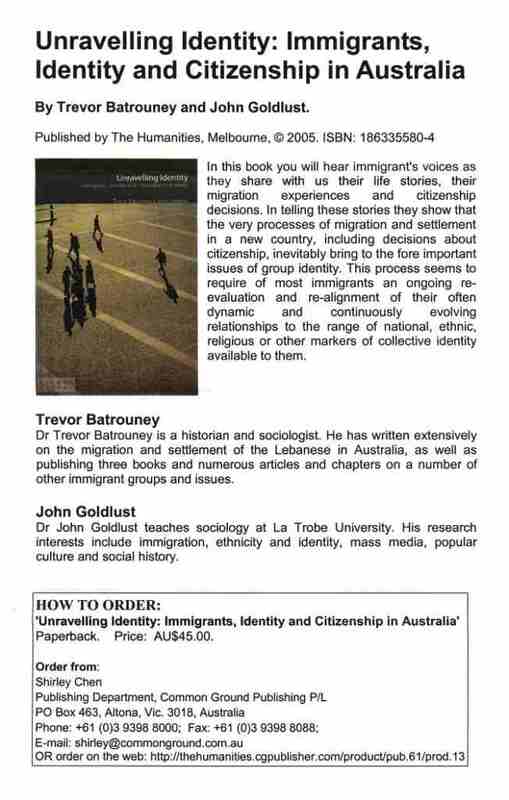 2006 - John Goldlust - Book Launch - Unraveling Identity. 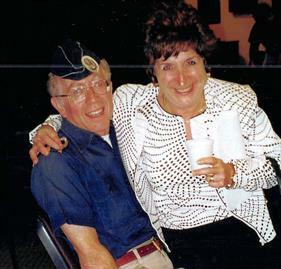 2006 - Sam Parasol, OAM - Double Celebration. 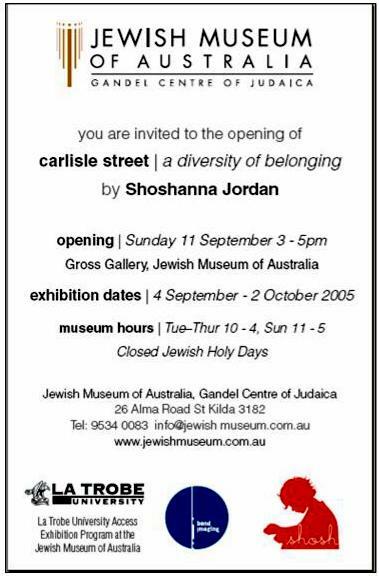 2005 - Shoshanna Jordan's Exhibition. 2005 - 'Bible Stories' vs. 'It's a Lie'. 2004 - Two more News Stories. 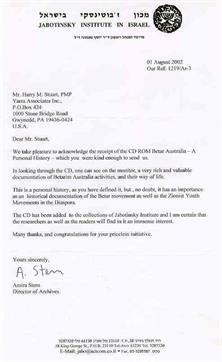 2002 - Jabotinsky Institute Recognizes our CD-ROM. 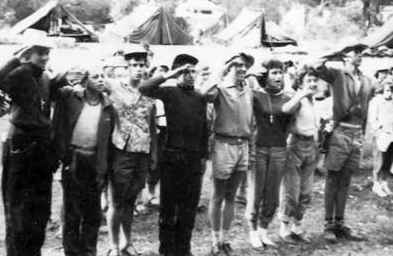 2002 - Letter From Camp. 1999 - Glencoe Film Club. Reunion at Danny & Heather's home. Images taken by Hedva Sheiner. Four photos from times gone by. "I spent about 4 hours at the Jabo Institute in Tel Aviv and could only get through a limited amount of material there. My impression was that for most of us, going through the material is a real trip in nostalgia, and I found it an amazing journey in what we did 50, 60 and even 70 years ago. After all, we were only kids and here is a record of an impressive, amazing organization. It is also amazing that despite the many years that have drifted by, many of us are still bound by a bond of friendship that, in my mind at least, is much more than senior's nostalgia. 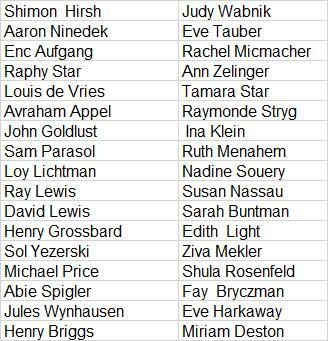 The Jabotinsky Institute archive index (searchable in English) is available at the English Archive Search. 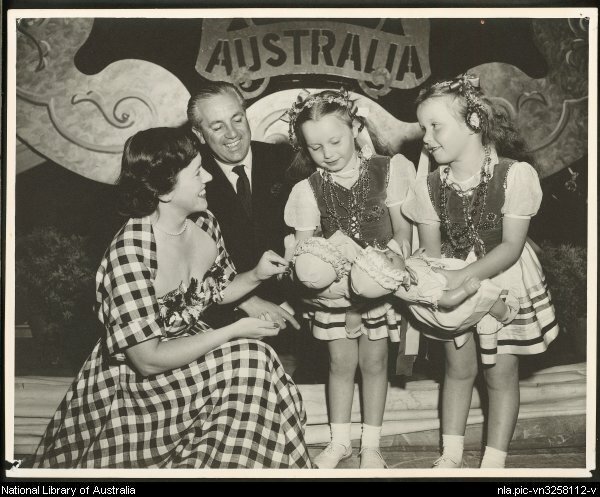 I did a basic search "Australia". 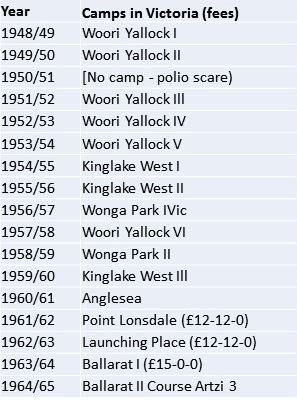 As my time was very limited I sampled only a few of the files - publications (excellent! 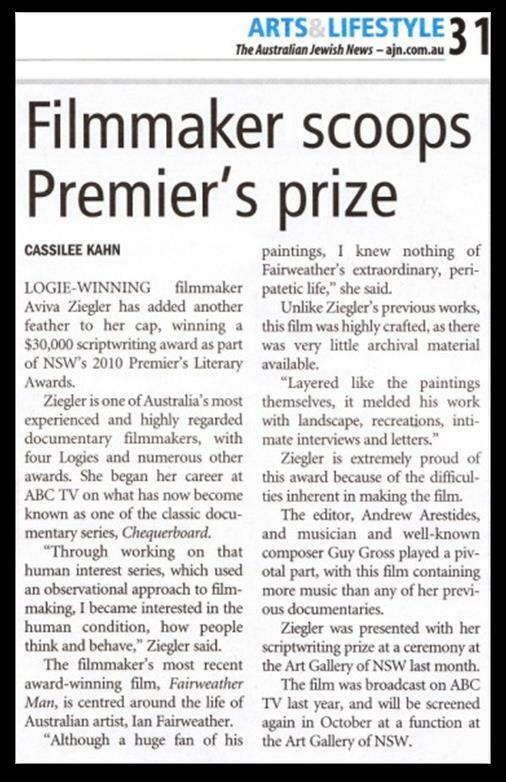 ), Kenes Artzi reports (brilliant!) and a few correspondence files. 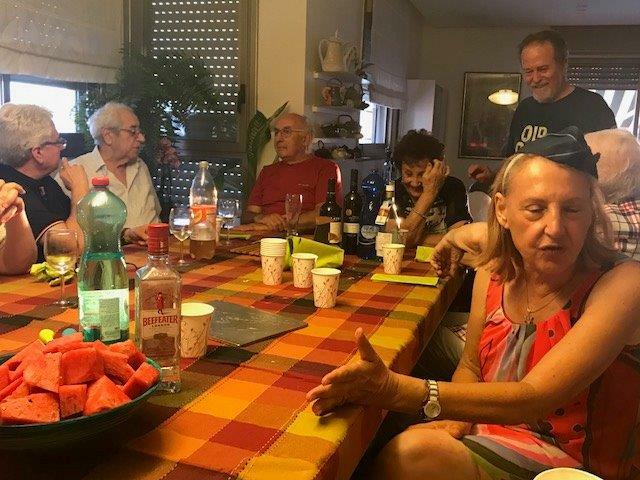 If you get a chance to be in Tel Aviv, I suggest that a few hours at the Jabotinsky Institute will be well rewarded 'meeting' old friends and events. 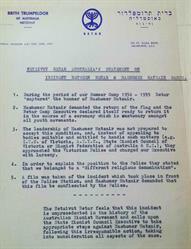 Who remembers when Betar stole Hashomer Hatzair's flag at 1955-56 camp!?! Entry to the archive is free - before you go, I recommend that you contact the archivist (Olga Gekhman-Prosmushkin) which files you want to see and when you will be there." - Peter Keeda - Jan 26, 2017. 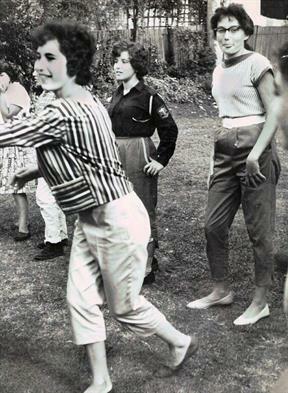 Rose Offman shared some of Sam Offman's images from his Machon year in 1957 and beyond. 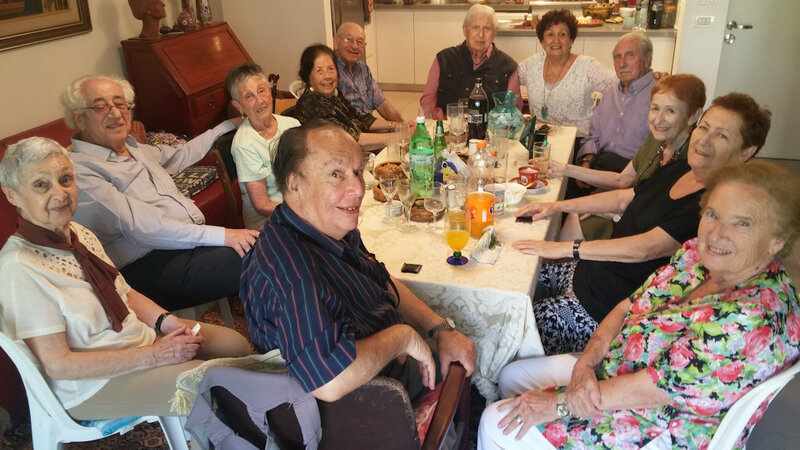 Among them are photos of the 7th Kinus Olami (World Betar Conference), Yaacov Lieberman's visit to Melbourne, and what appears to be an excursion to the Melbourne countryside. Most of the images are undated and, therefore, have been presented as a collection rather than being chronologically grouped. (Some minor restoration work by Harry). This was a "welcome" gathering at Ros. & Henry Ben Ezra's in Natanya to welcome Miriam Briggs who came to live in Israel after Henry Briggs passed in Sydney a few months ago. 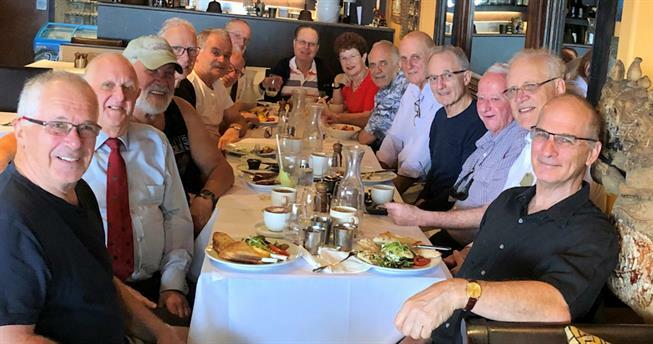 L to r: Michael Price, Les Reiss, Ed Adamek, Dov Rosenfeld, Bernie Kresner, Sid Agranoff, Roland Gridiger, Larry Levin, Judy Bahar, Zvi Berkovic, Geoff Williamson, Keith Masnick, Peter Keeda, Norman Sarajinski, Richard Sekel.